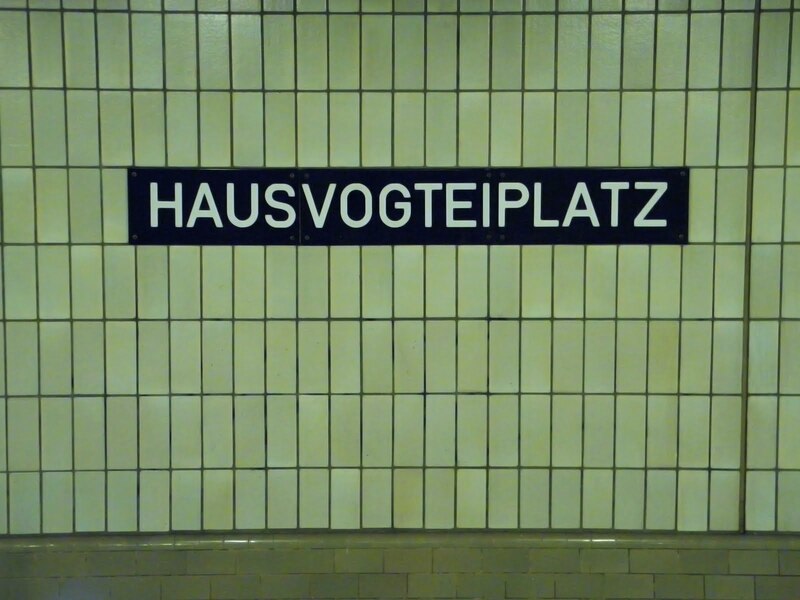 I like typefaces. 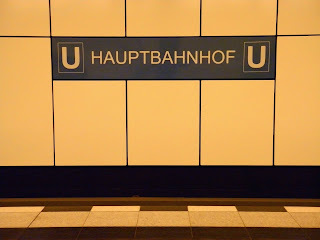 I like underground rail networks. 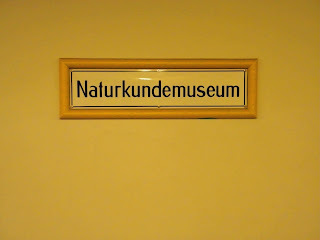 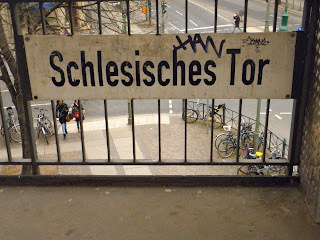 I love Berlin. 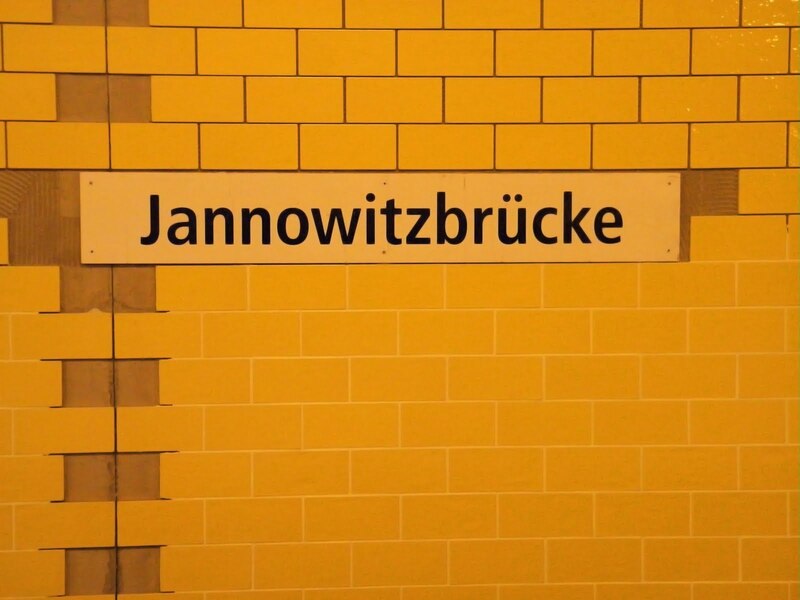 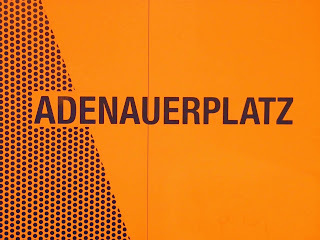 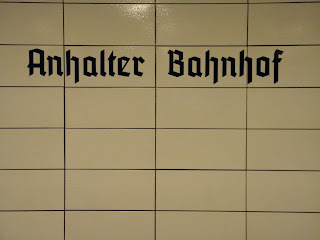 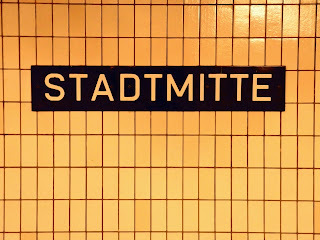 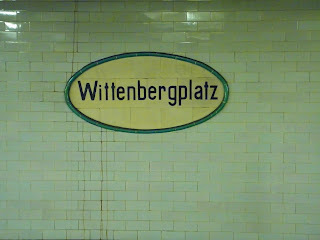 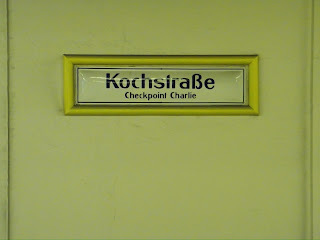 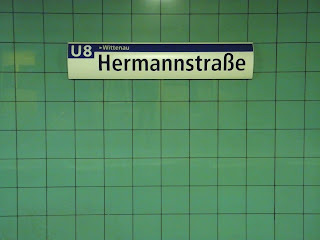 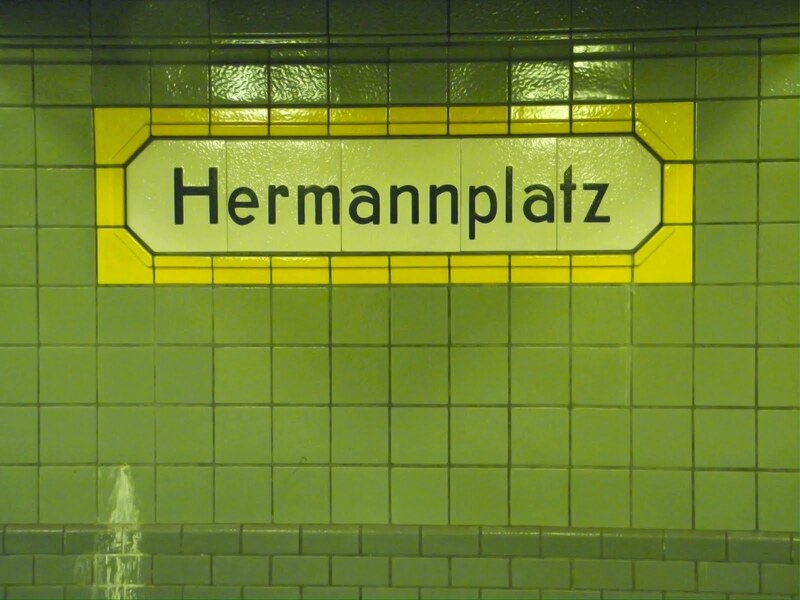 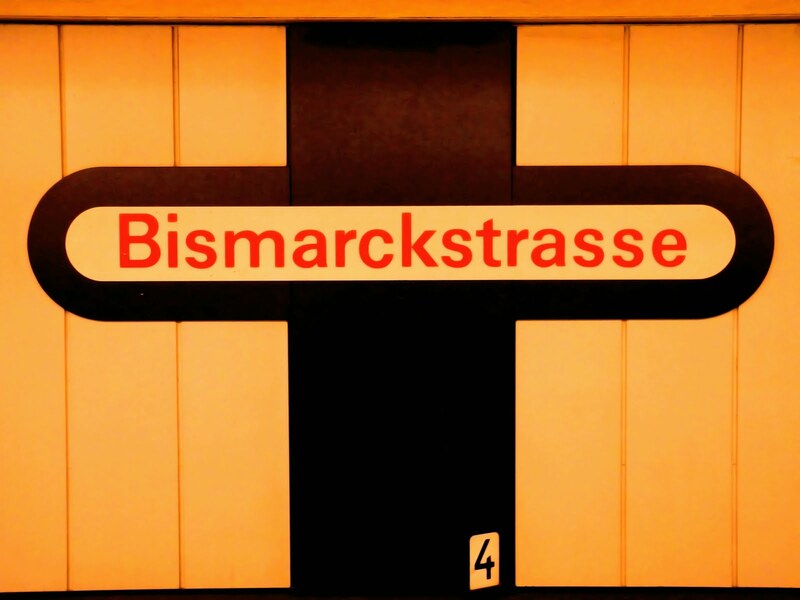 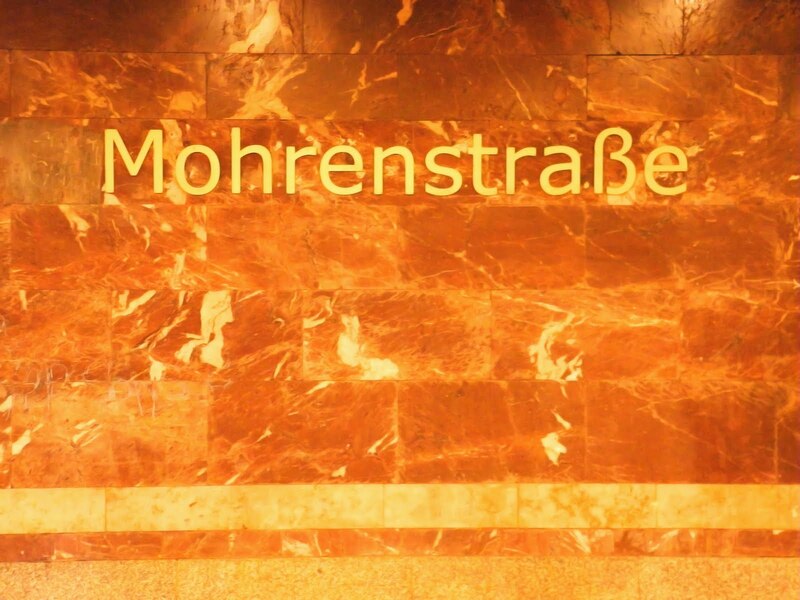 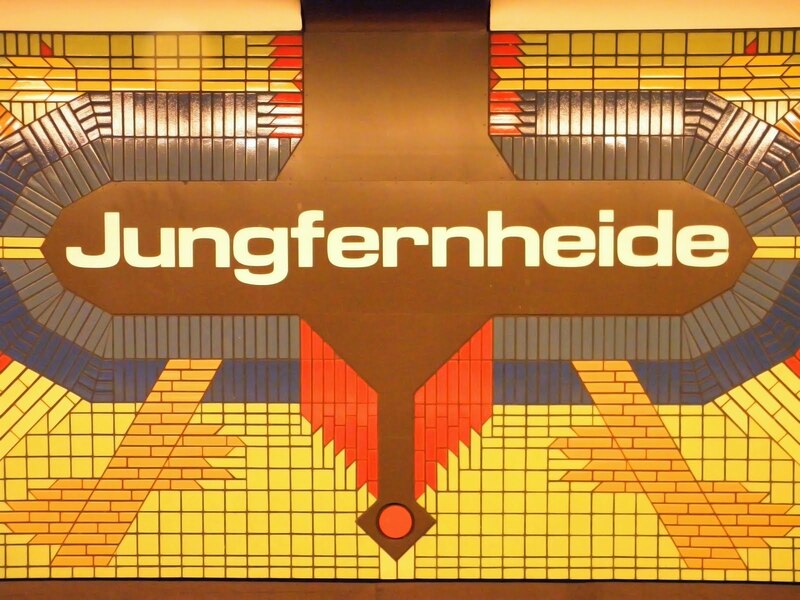 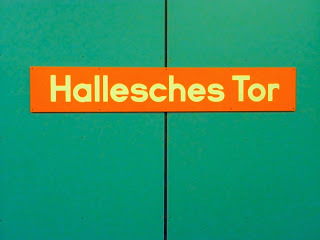 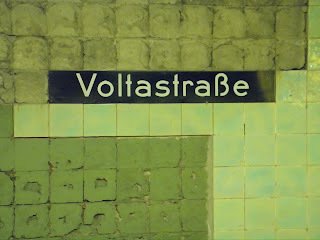 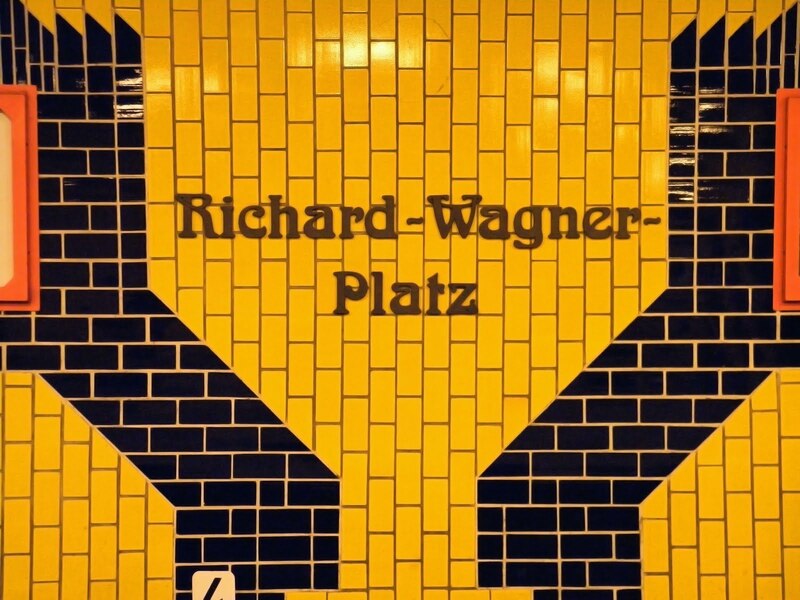 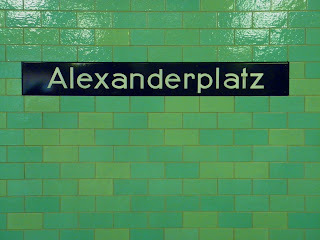 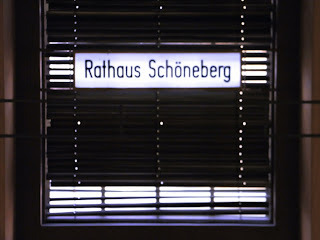 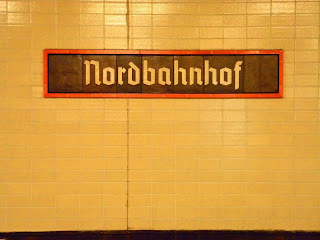 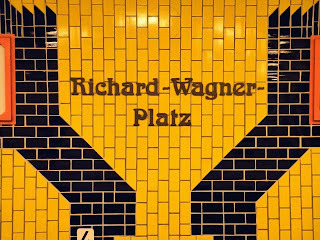 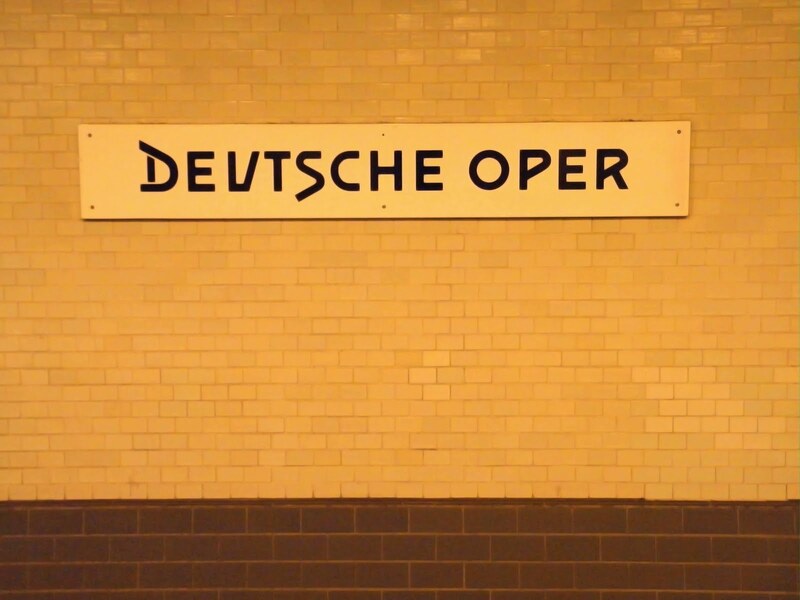 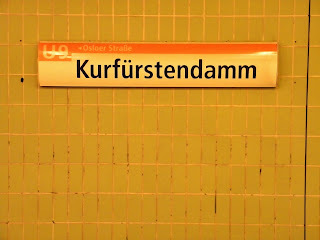 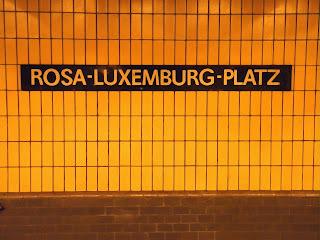 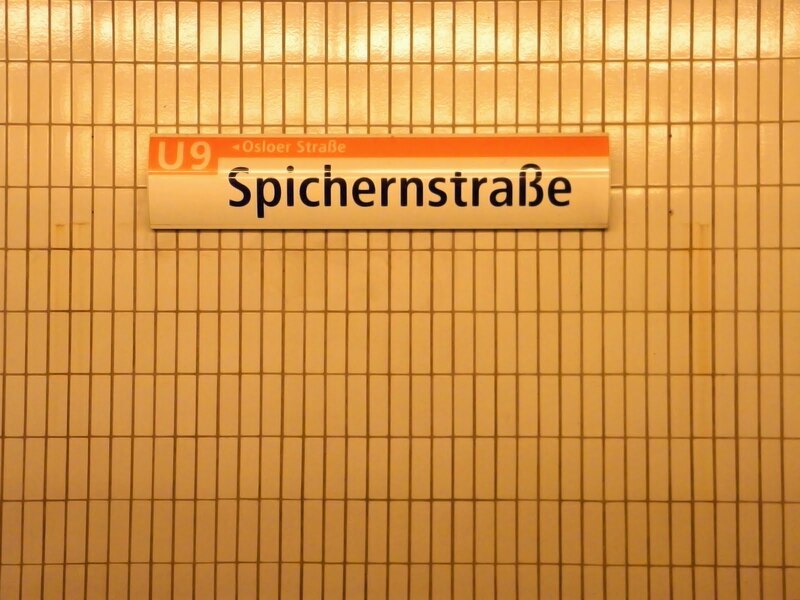 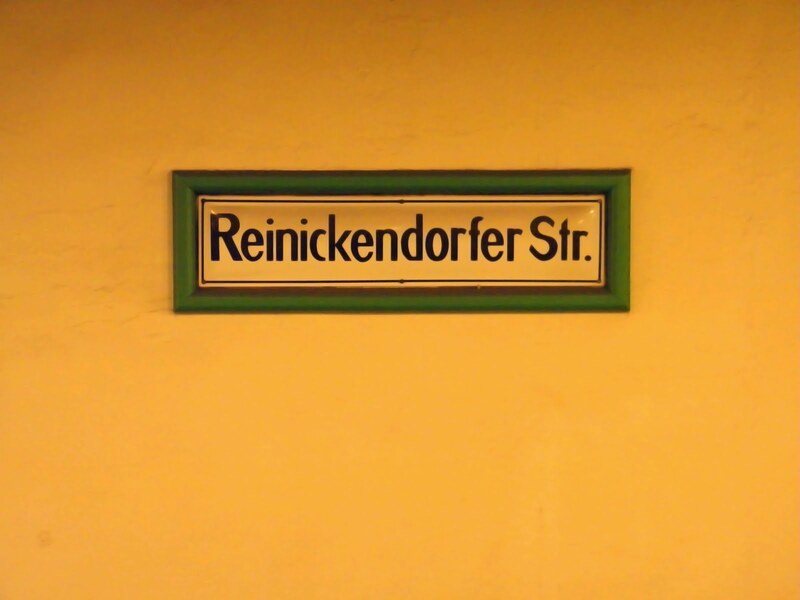 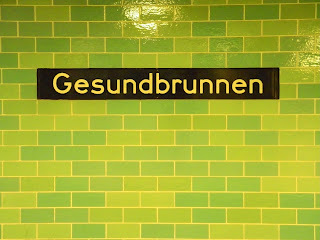 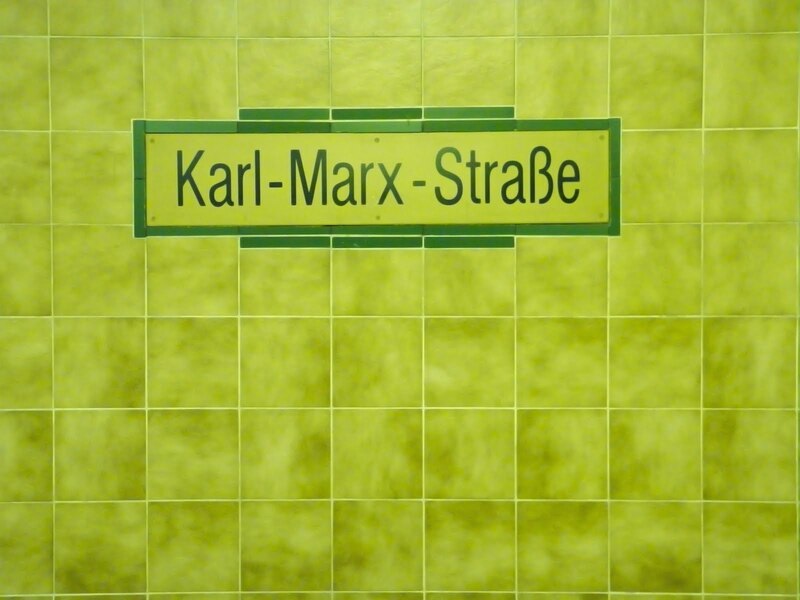 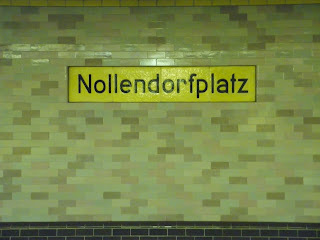 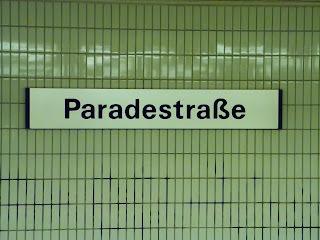 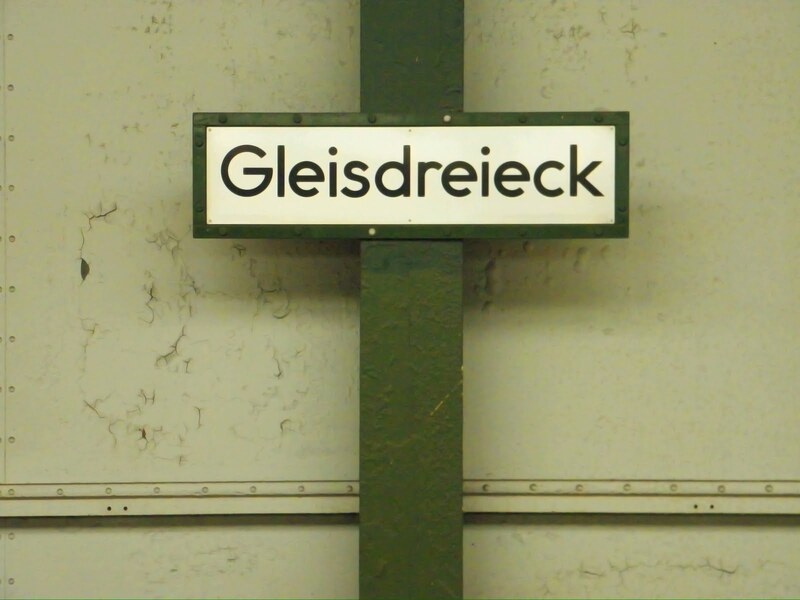 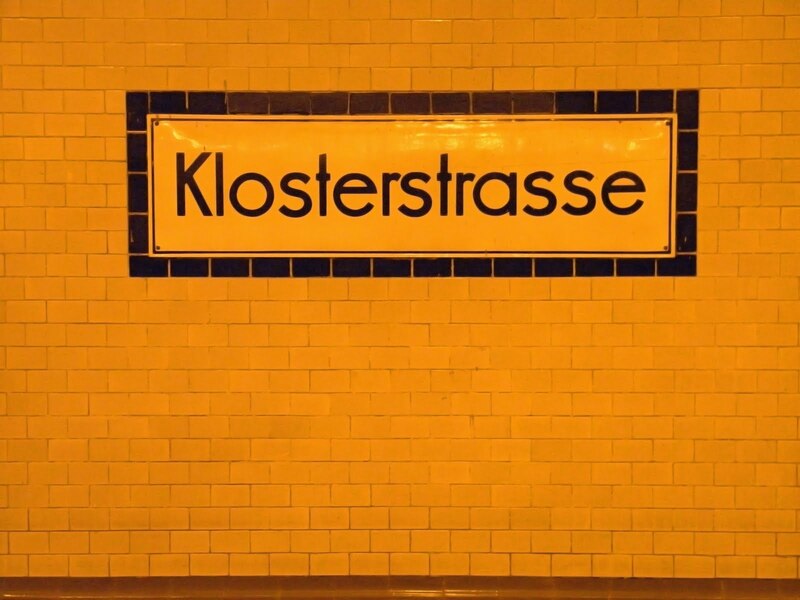 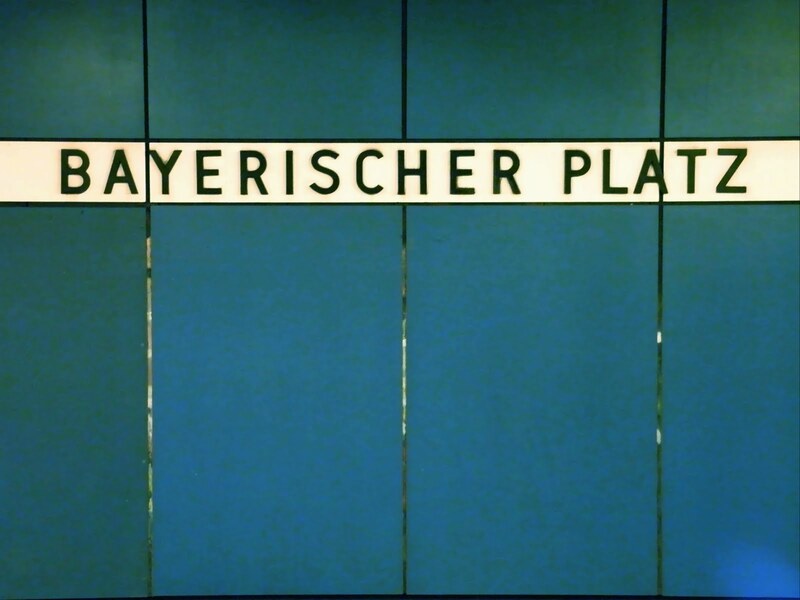 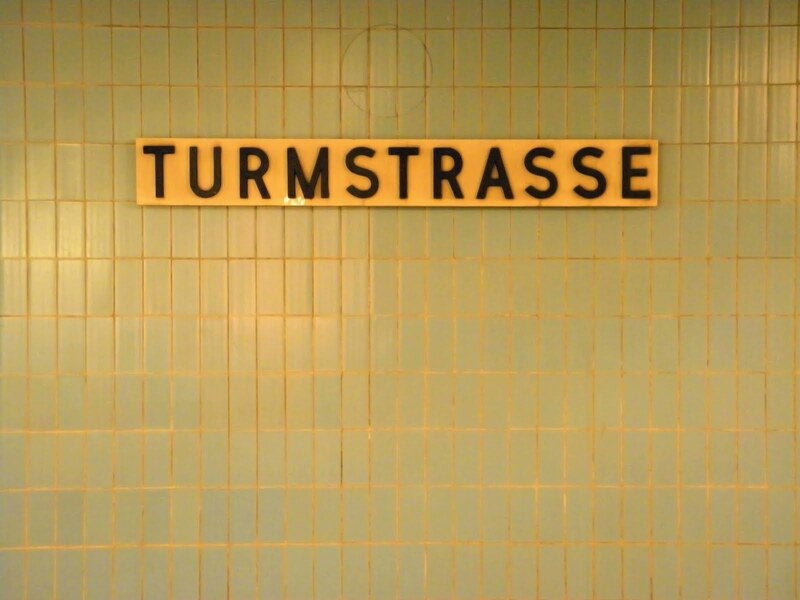 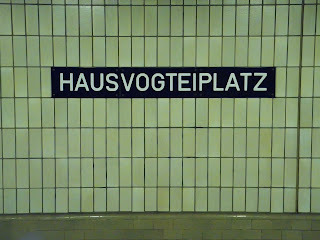 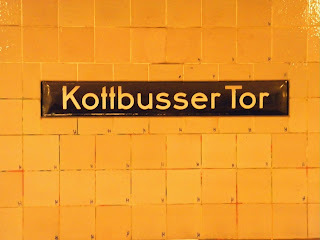 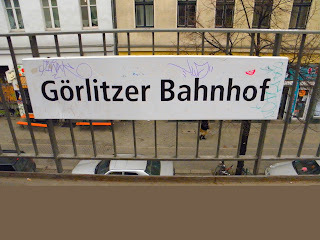 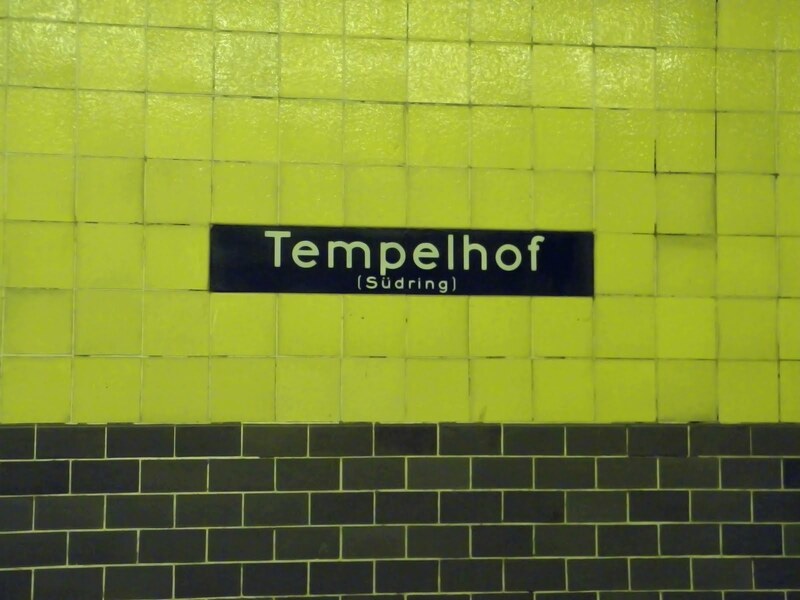 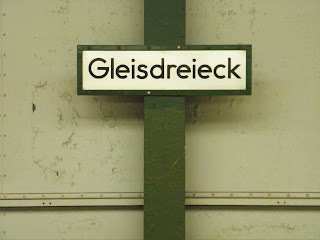 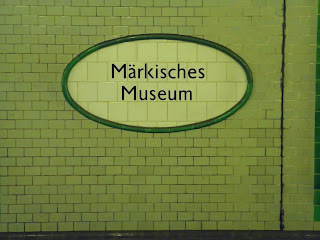 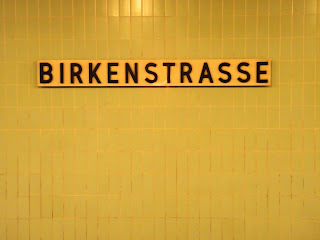 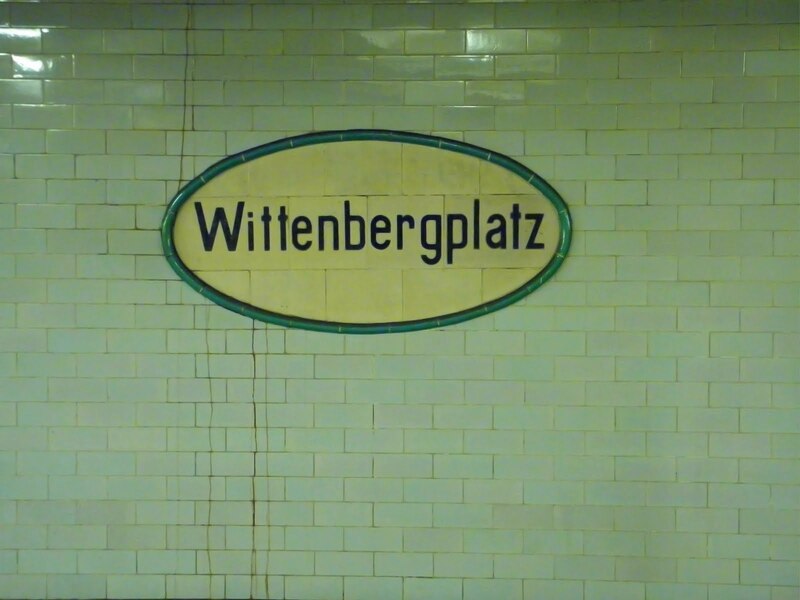 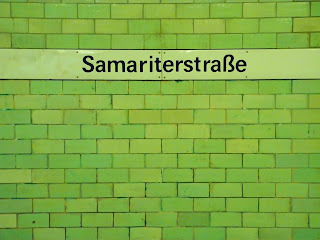 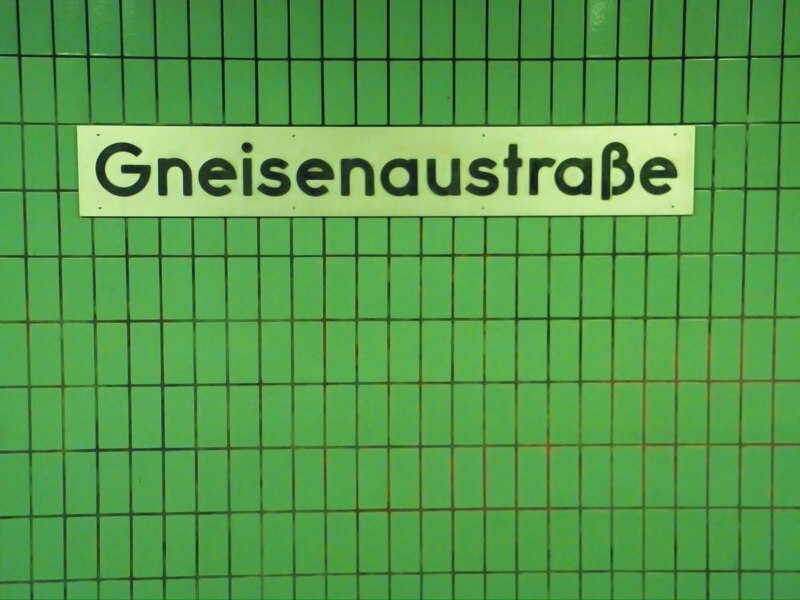 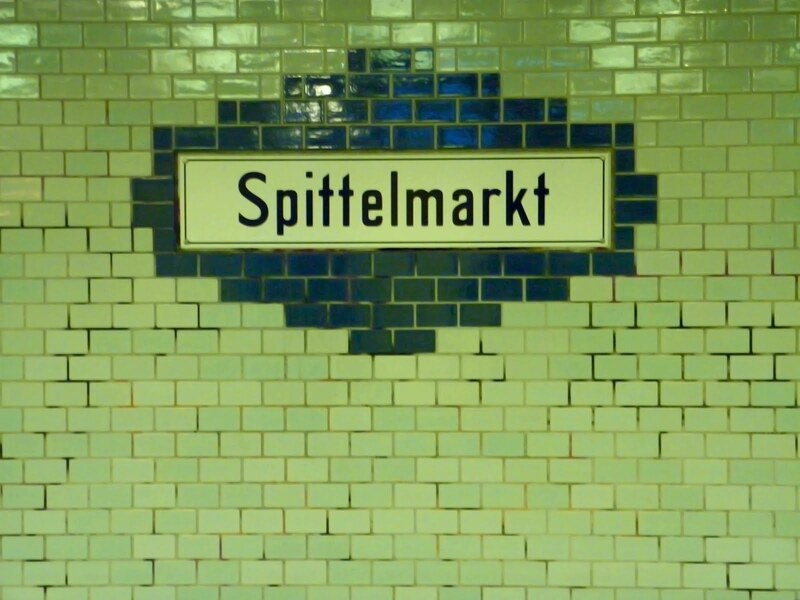 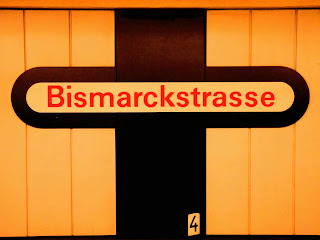 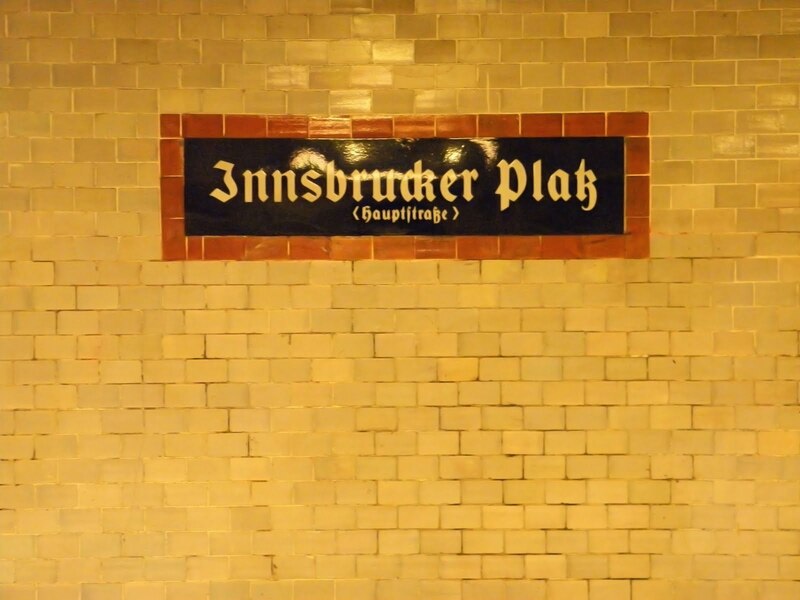 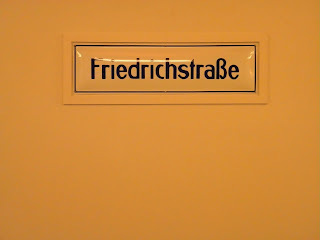 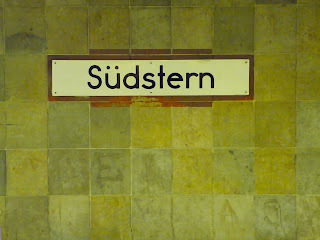 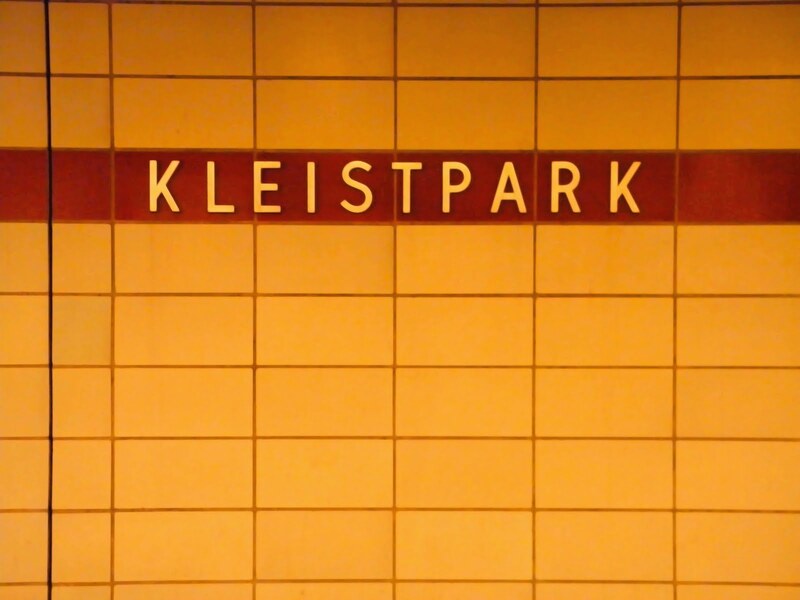 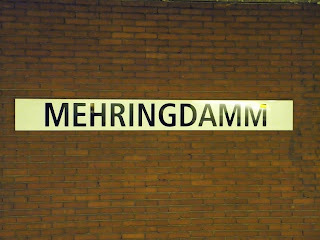 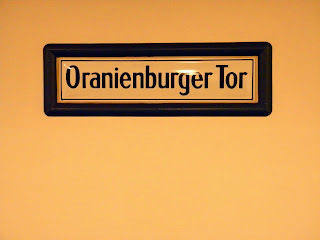 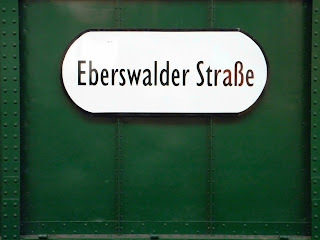 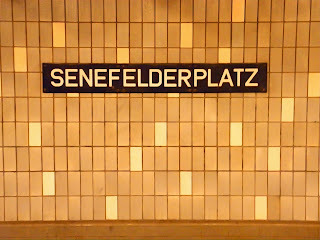 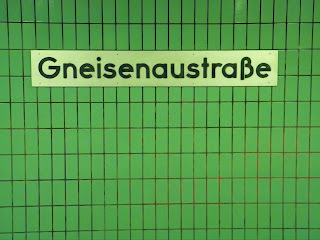 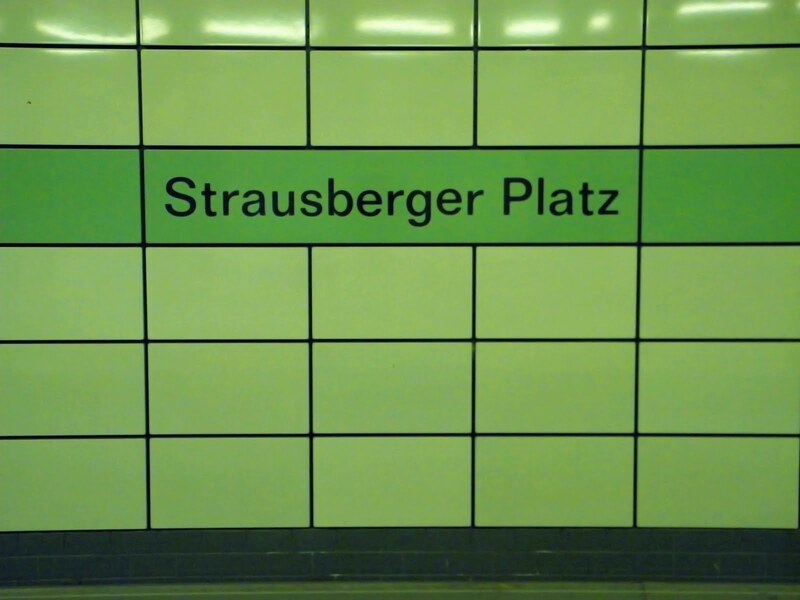 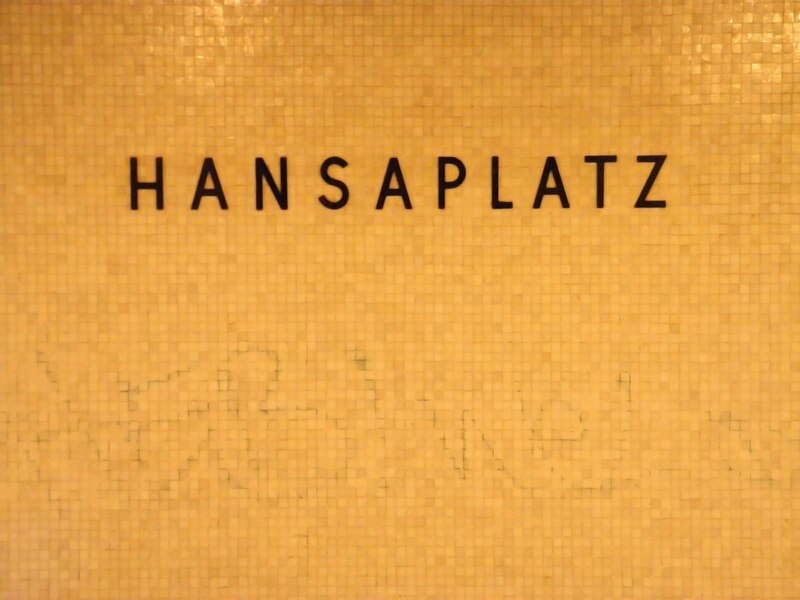 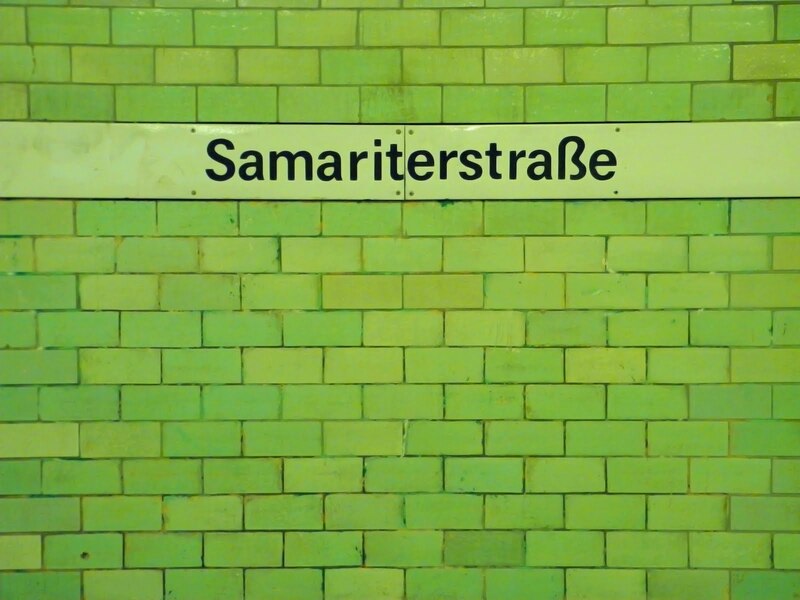 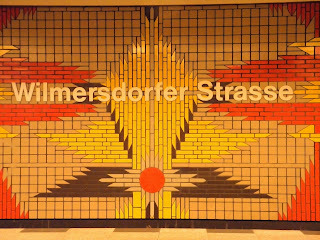 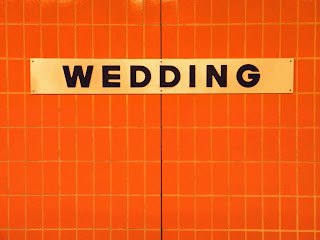 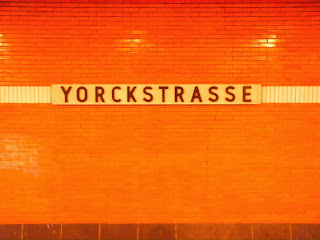 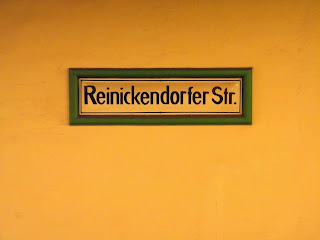 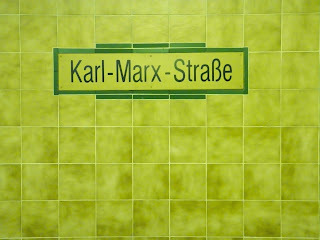 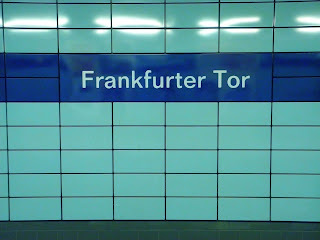 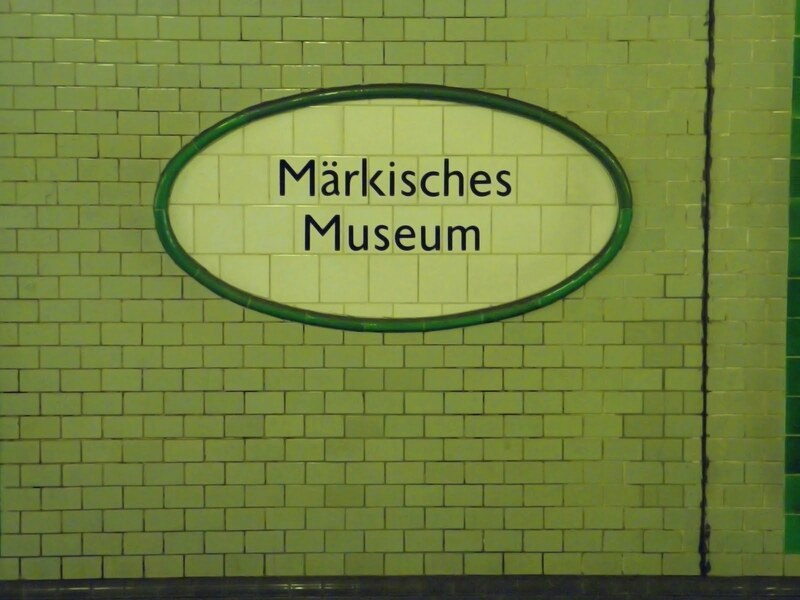 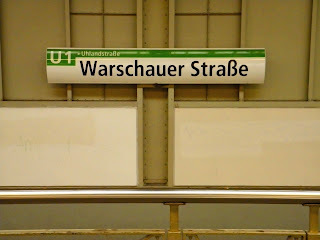 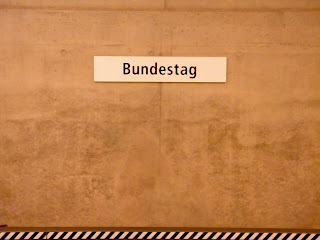 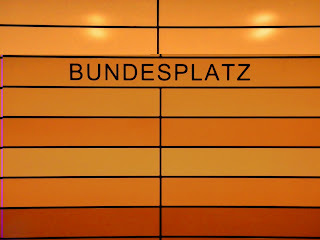 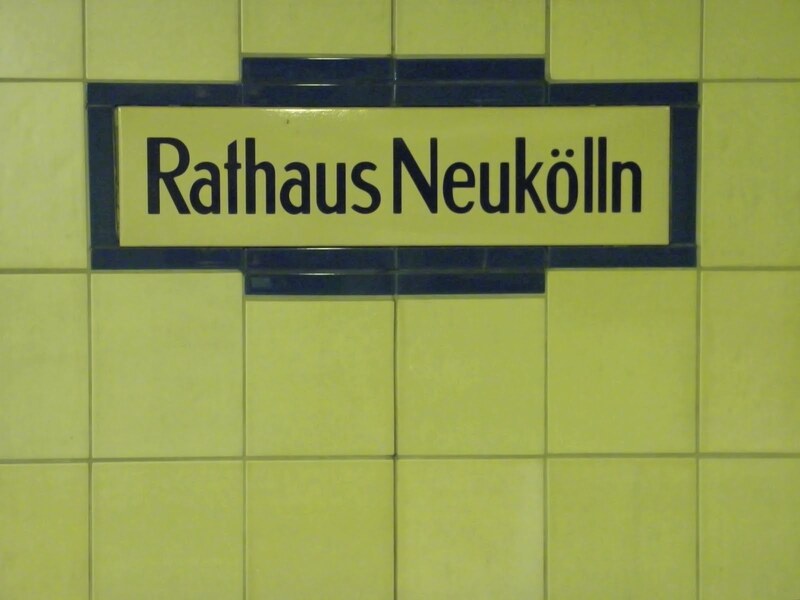 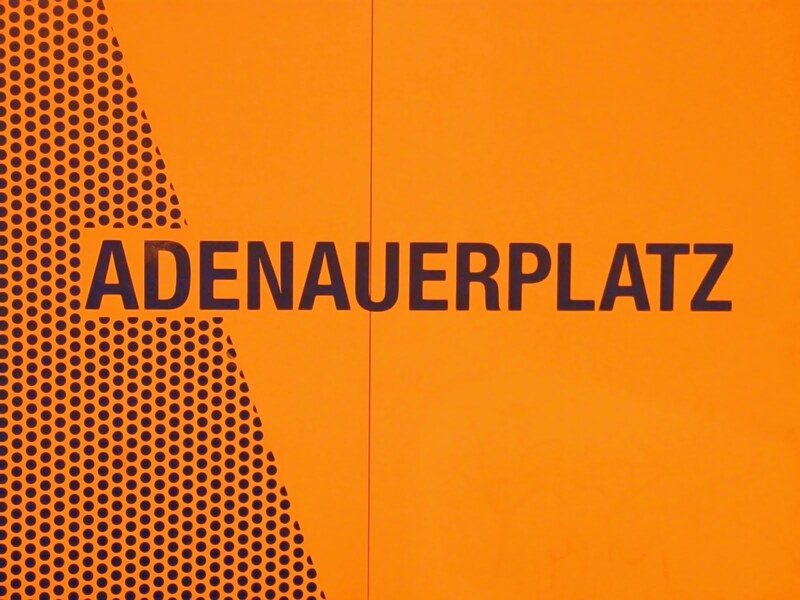 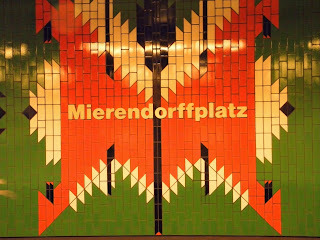 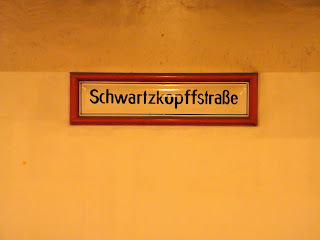 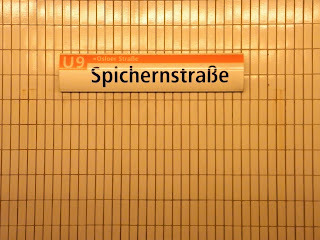 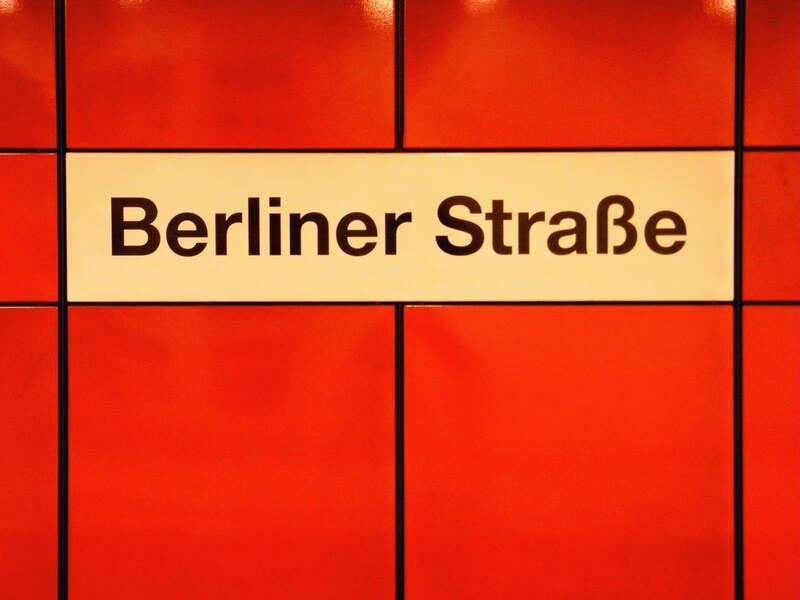 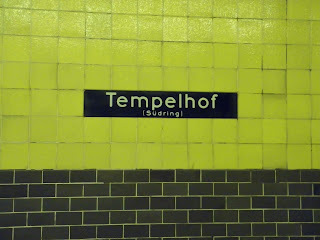 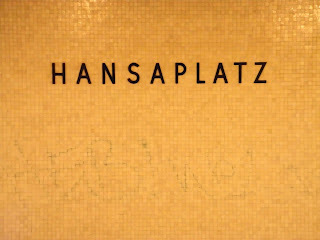 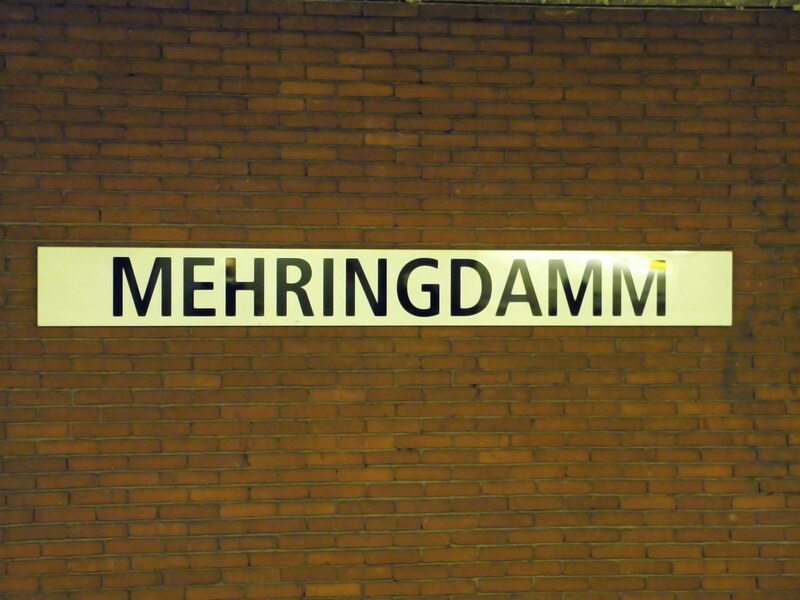 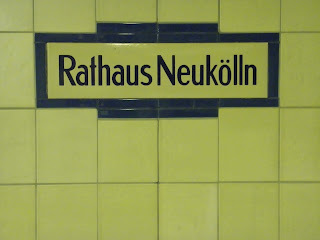 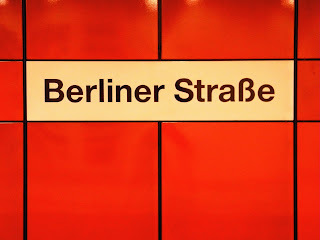 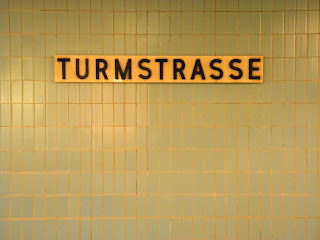 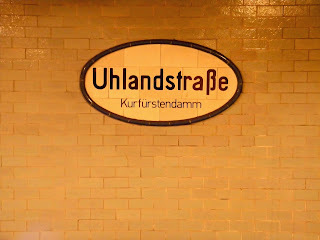 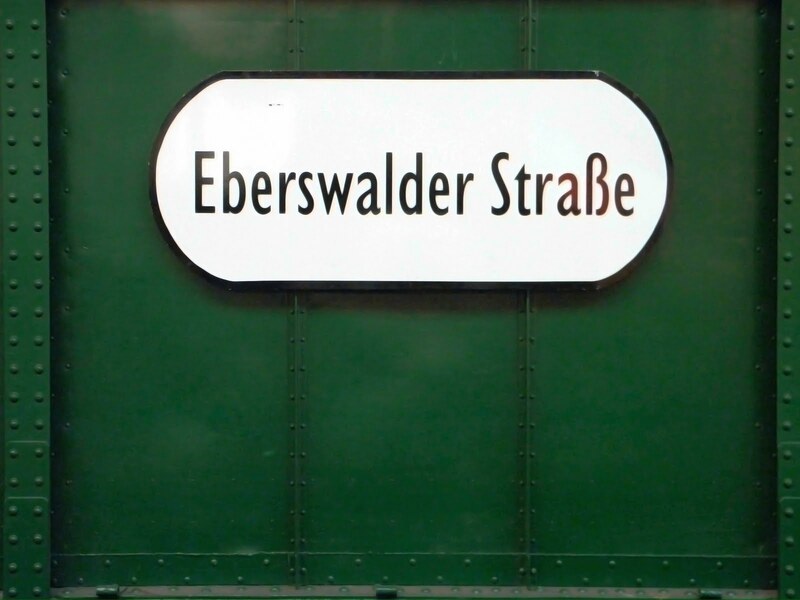 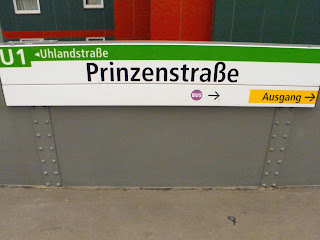 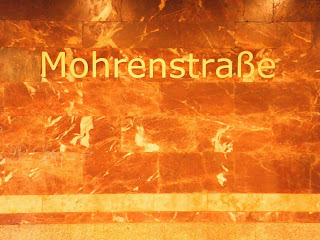 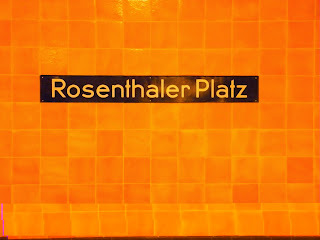 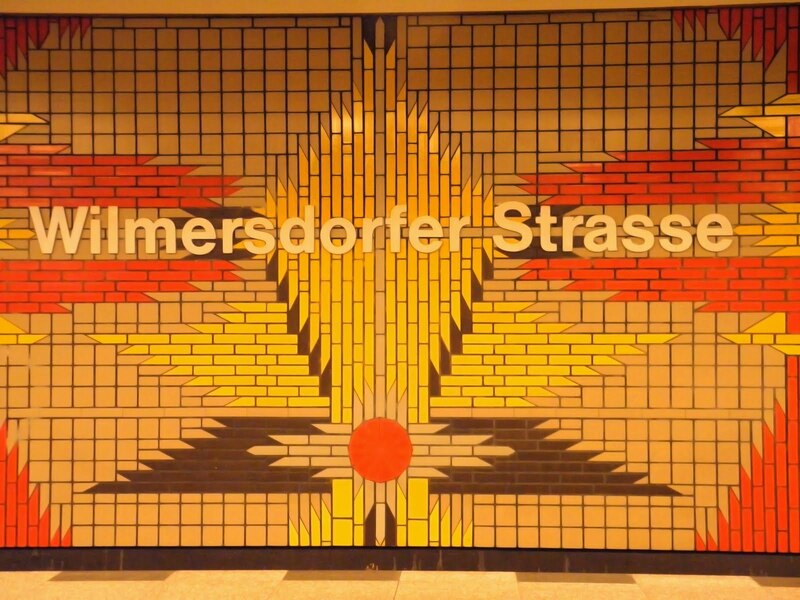 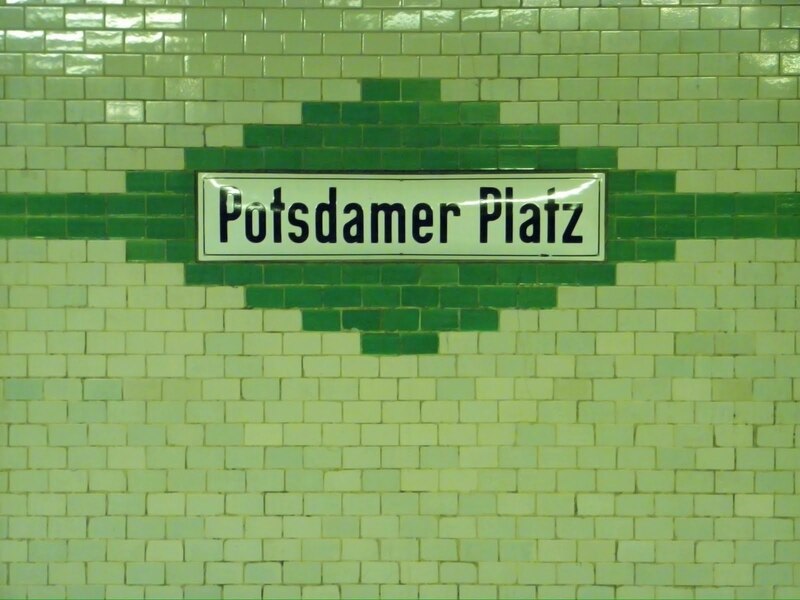 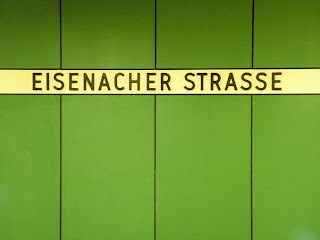 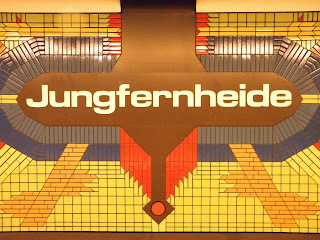 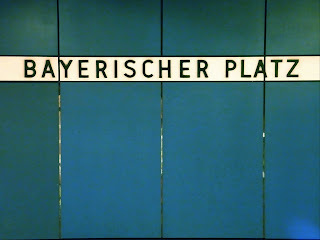 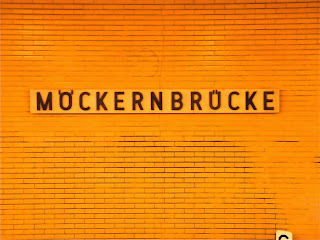 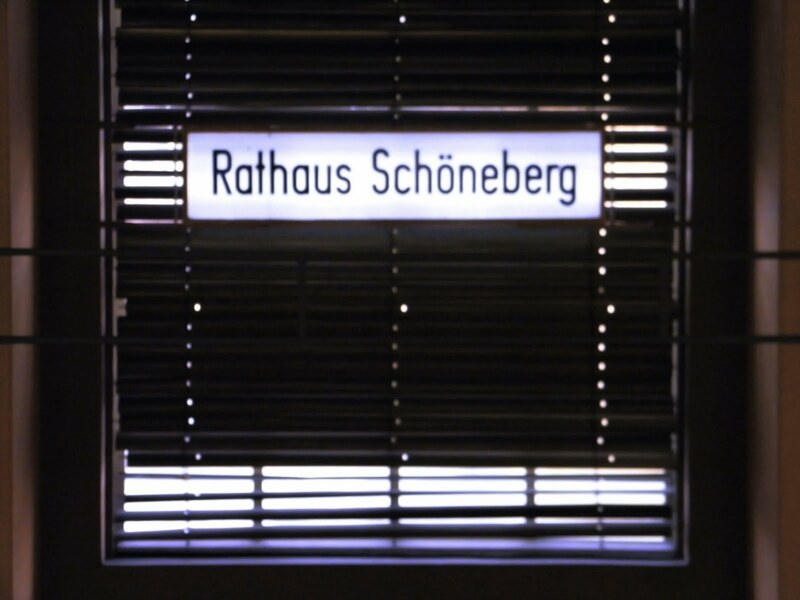 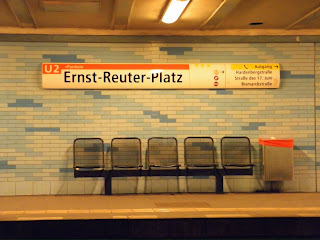 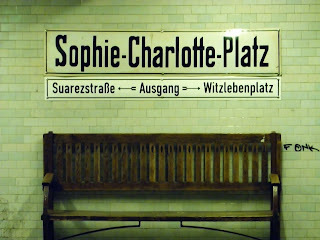 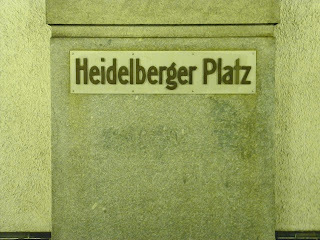 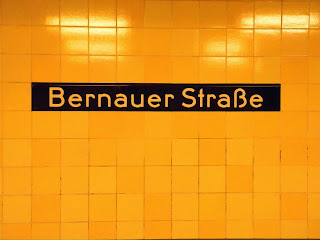 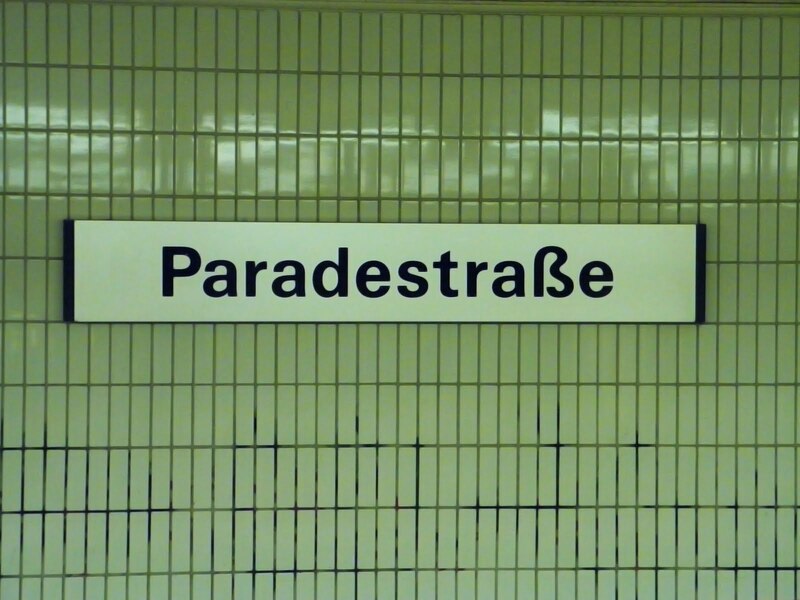 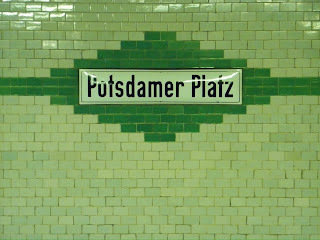 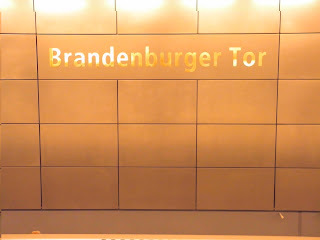 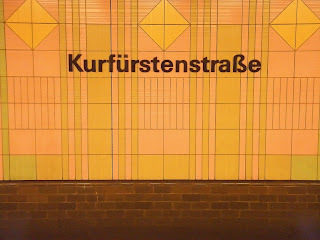 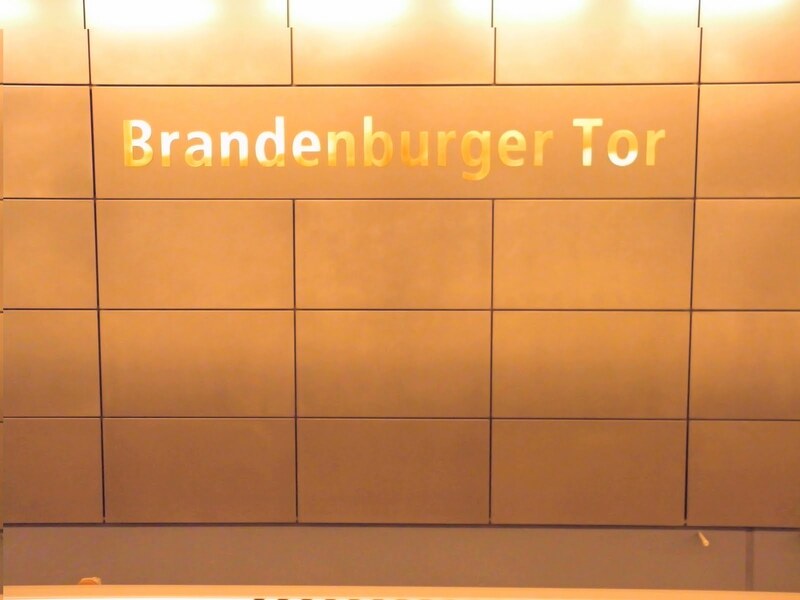 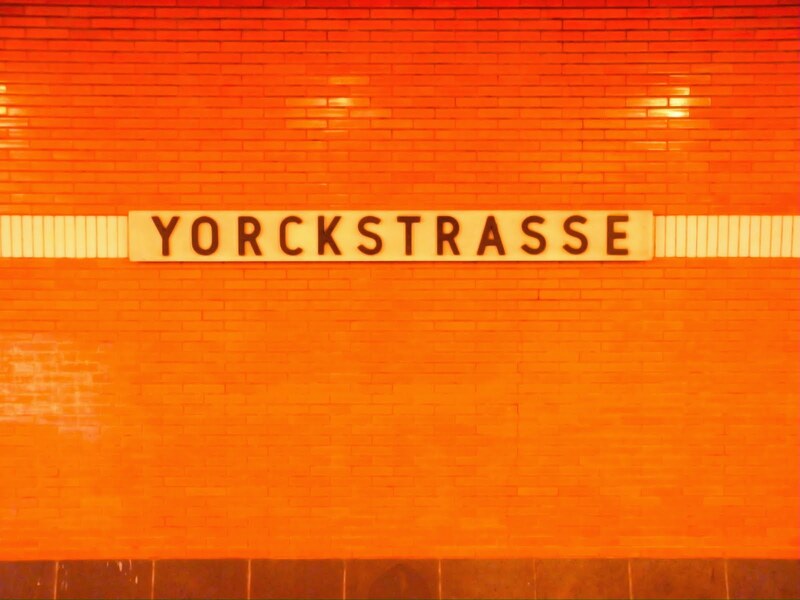 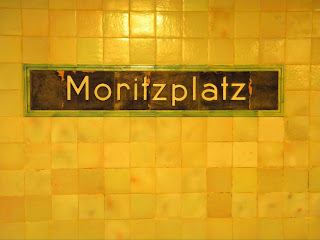 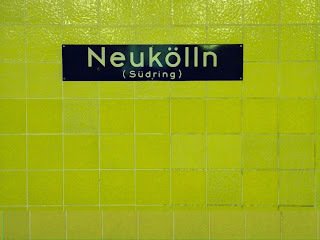 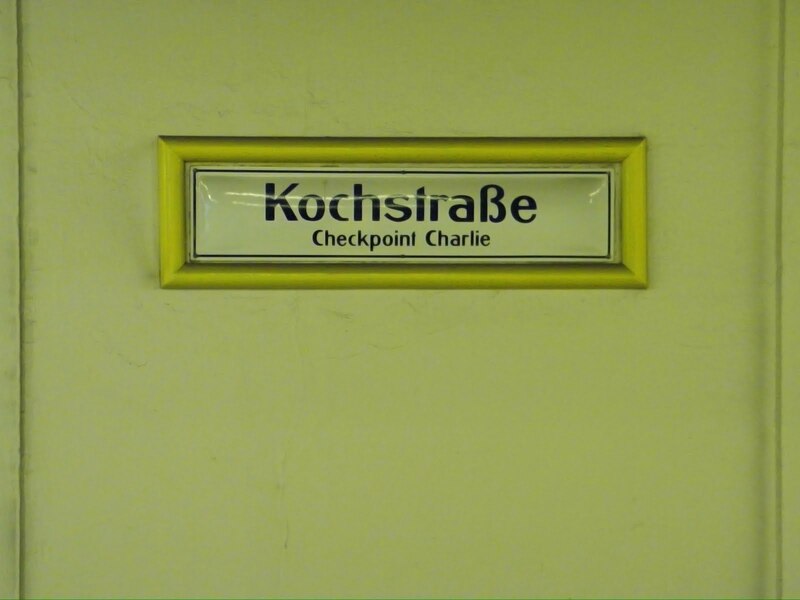 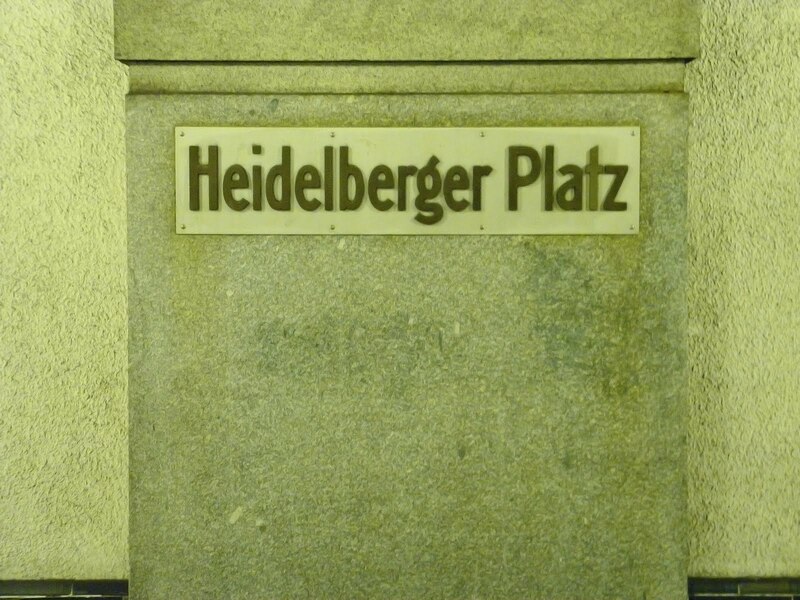 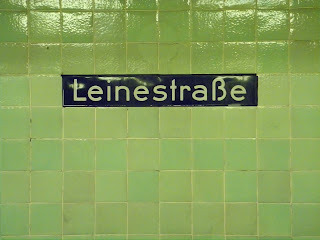 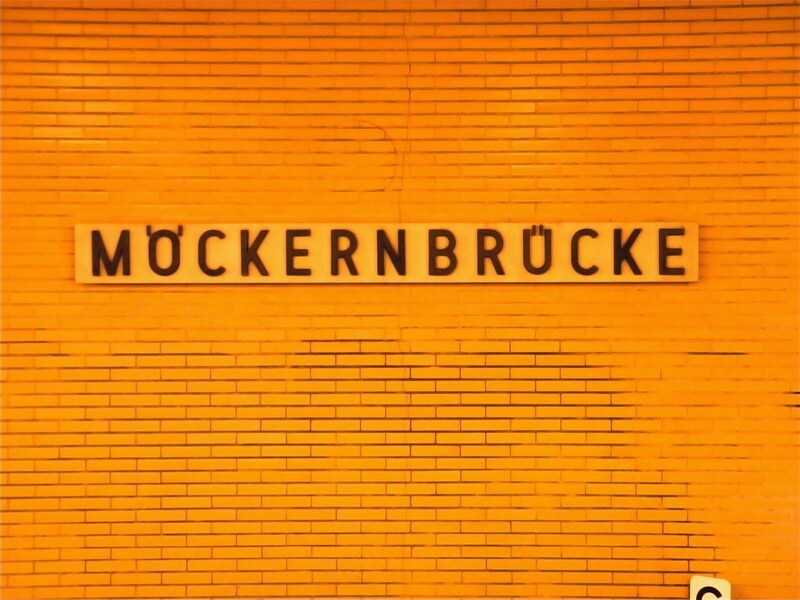 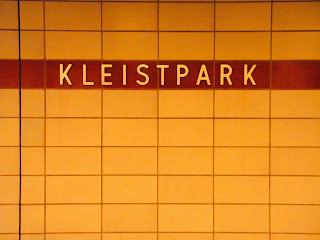 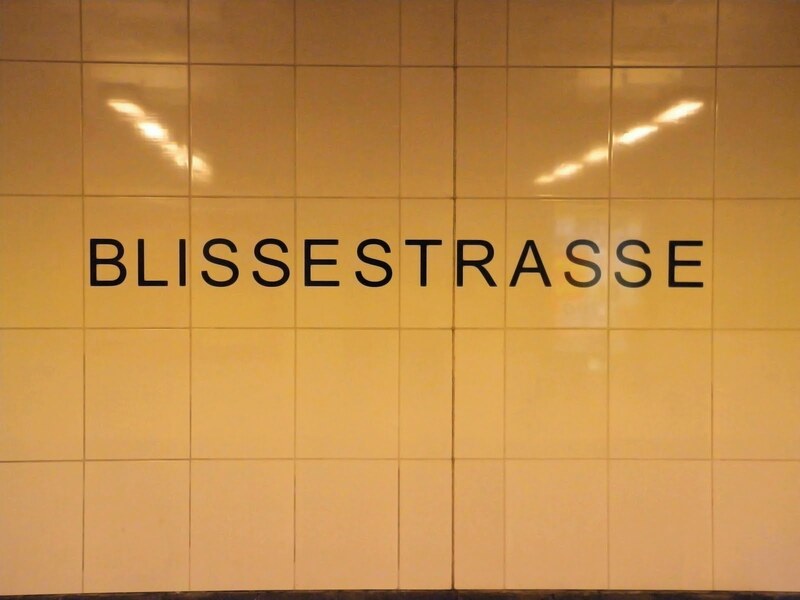 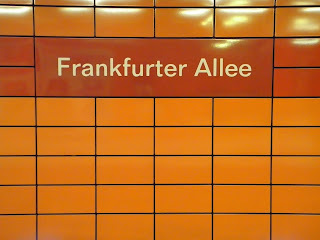 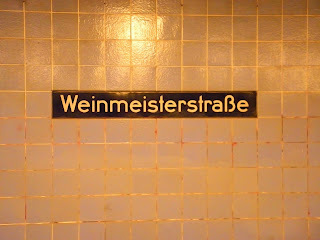 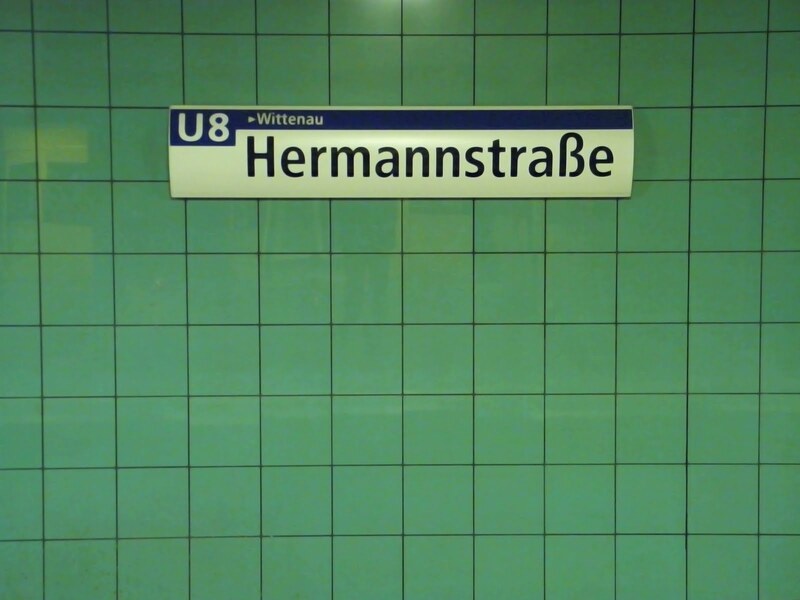 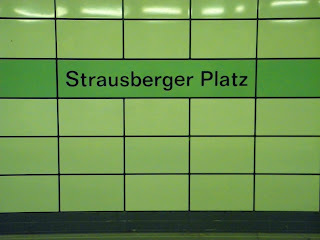 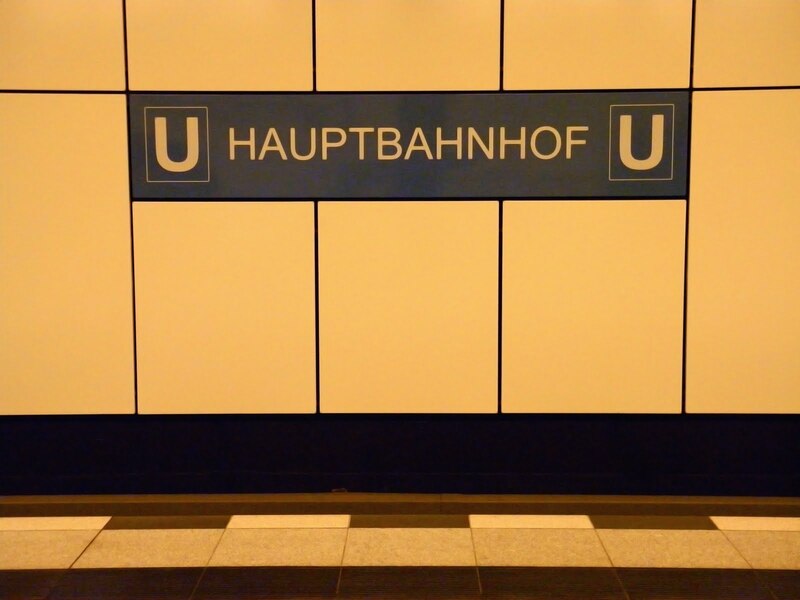 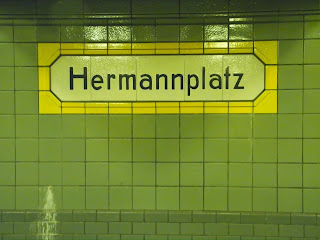 It was therefore inevitable that I would fall for the Berlin U-bahn station signage. 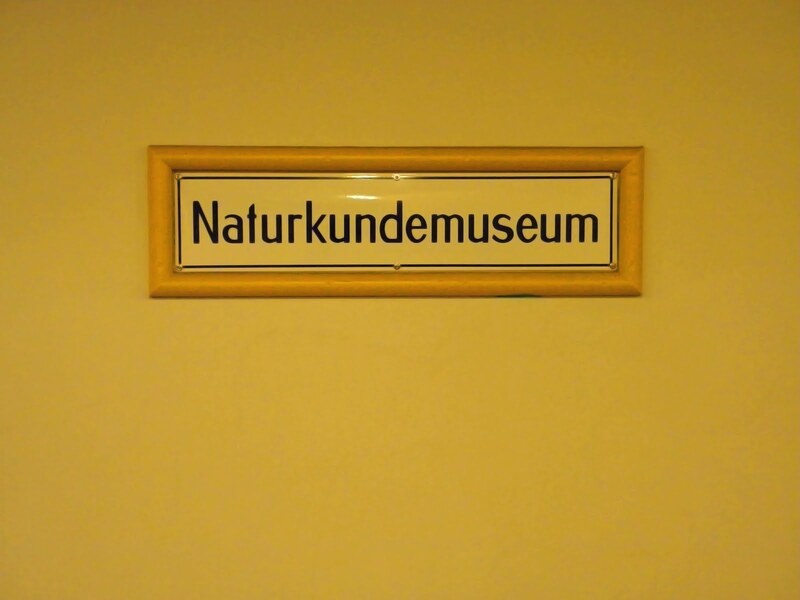 Naturally one or two wouldn't do, I had to have them all. 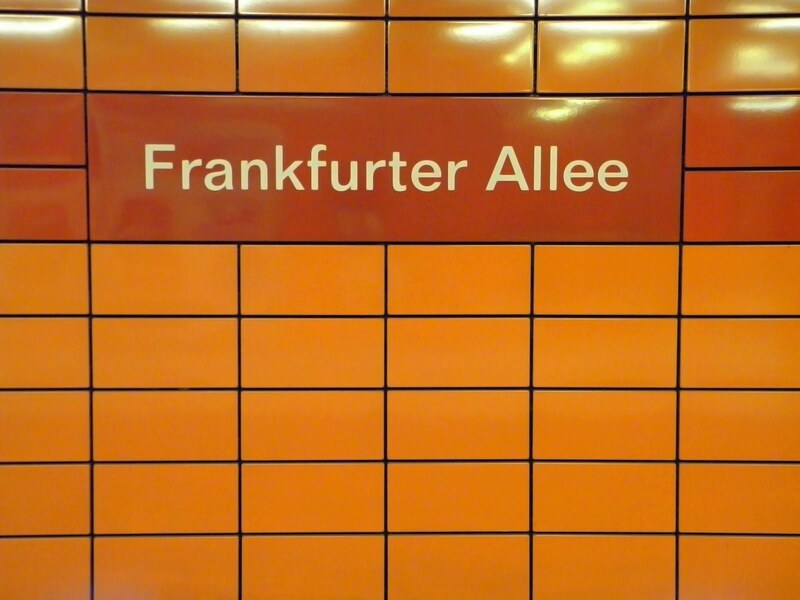 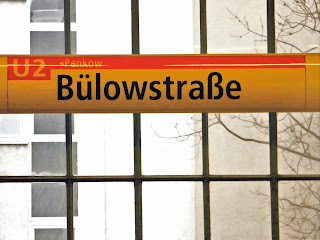 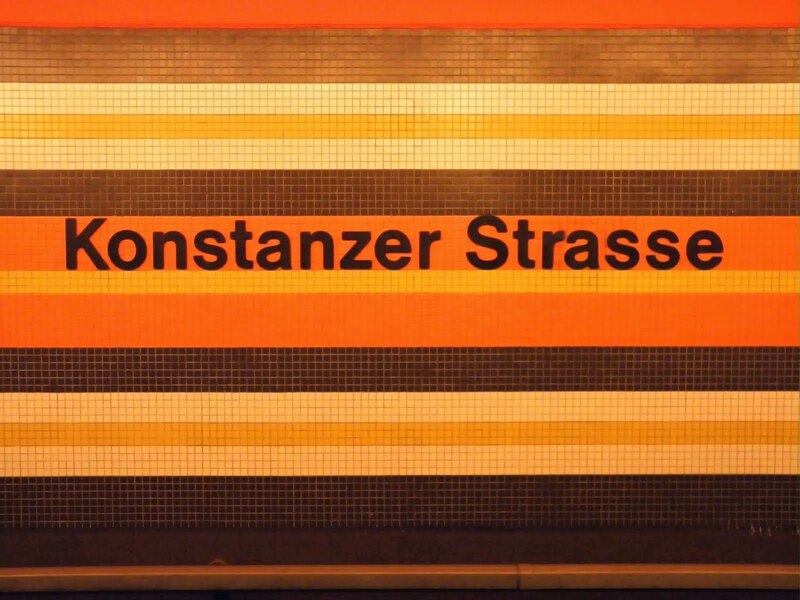 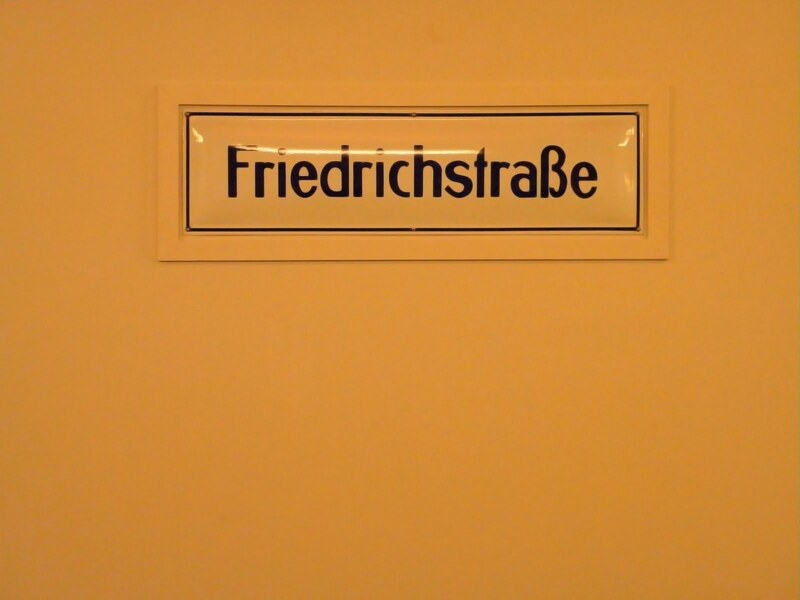 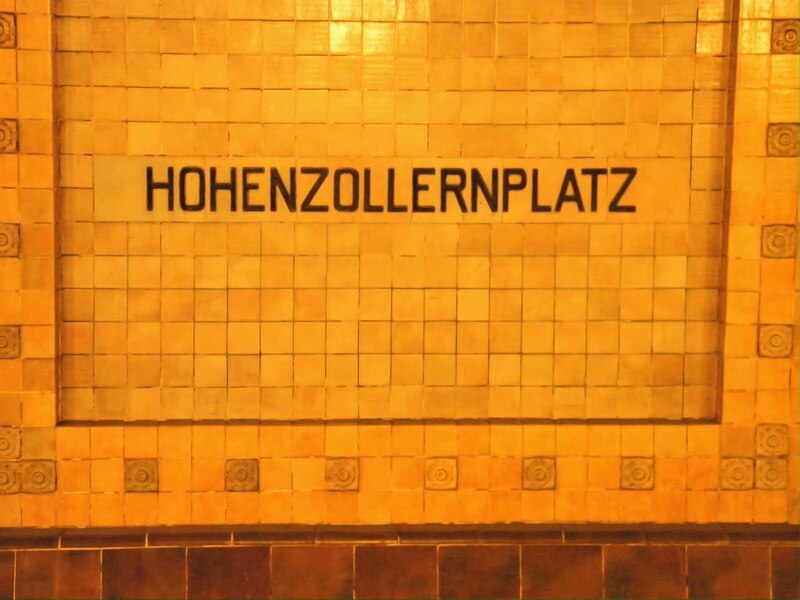 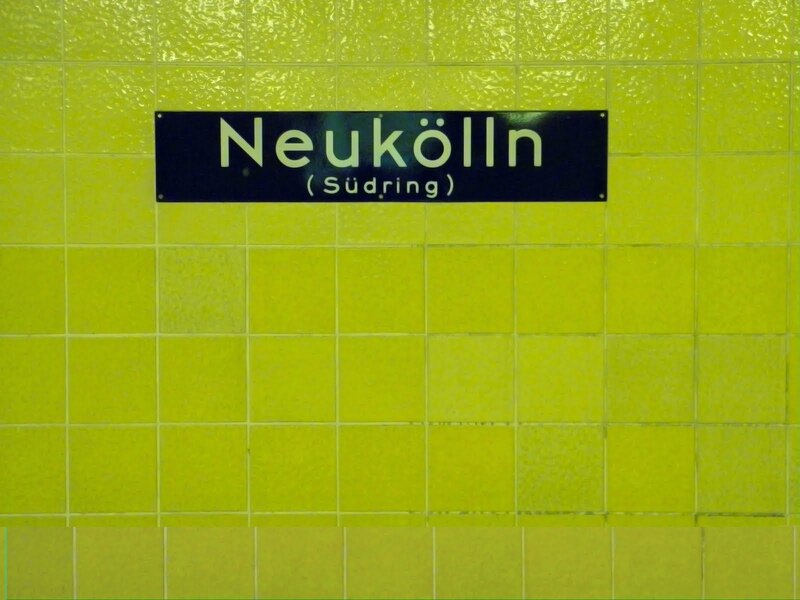 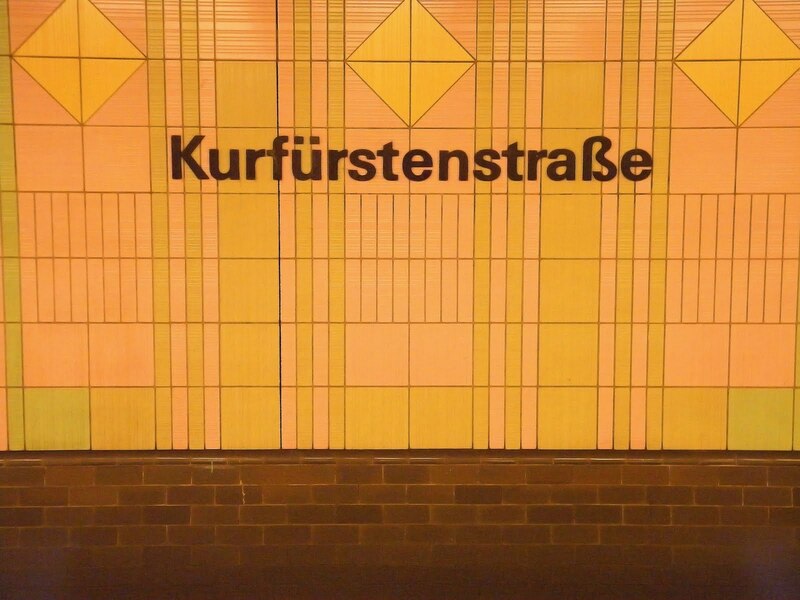 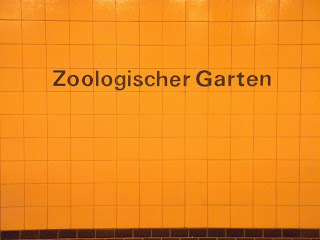 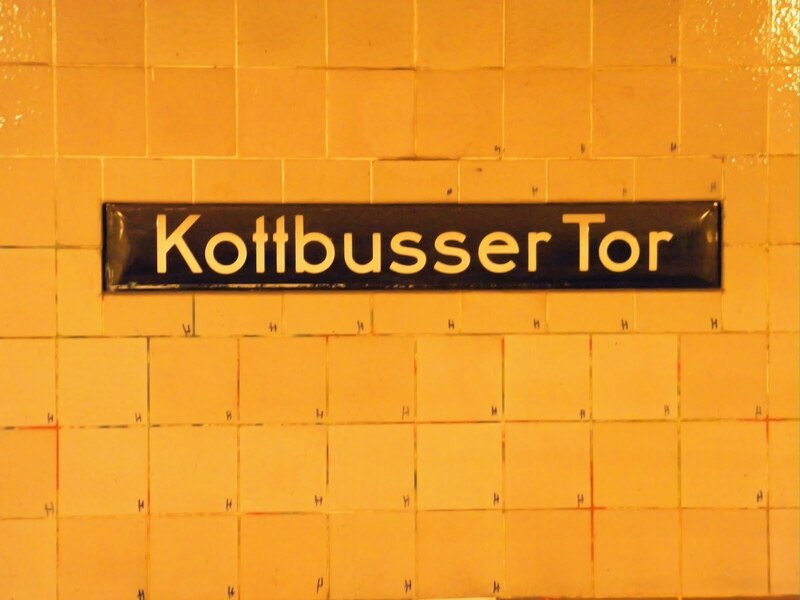 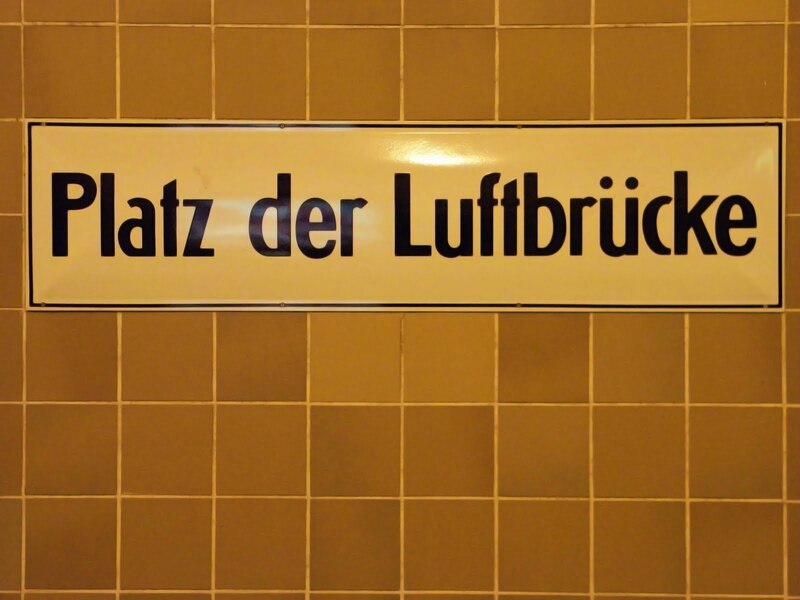 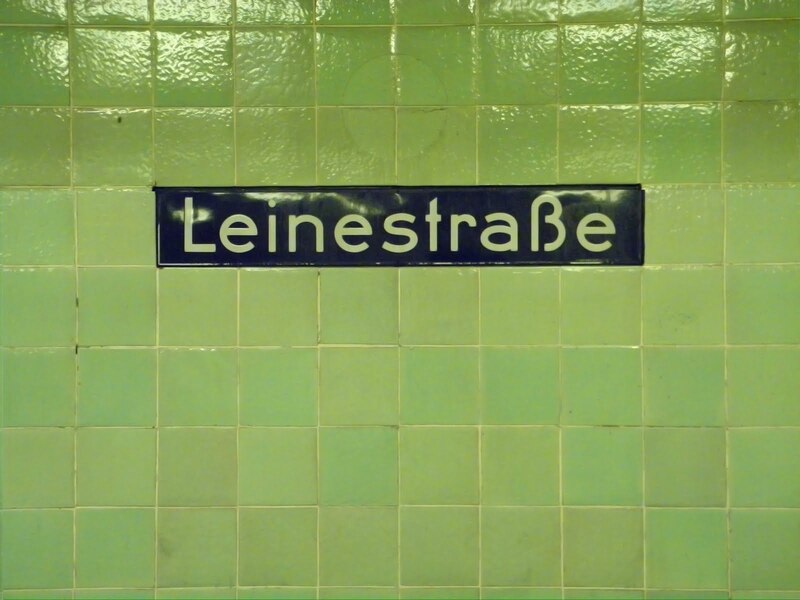 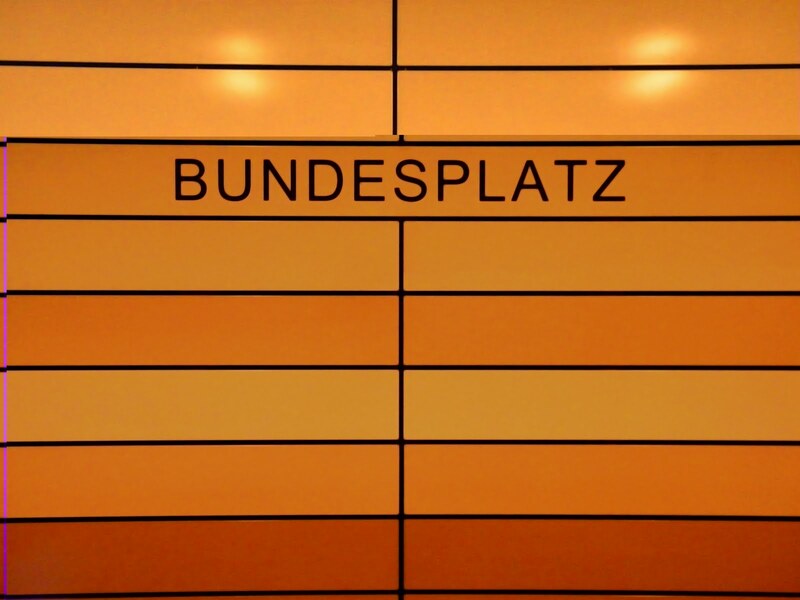 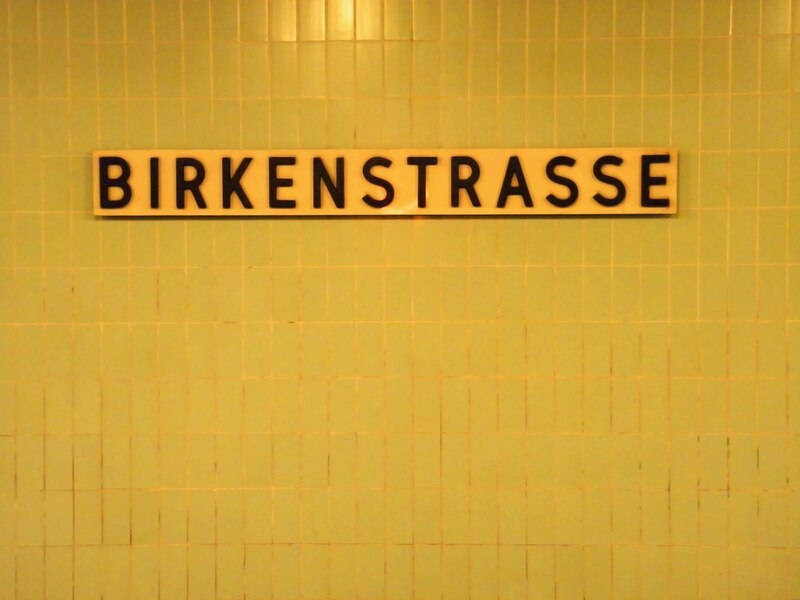 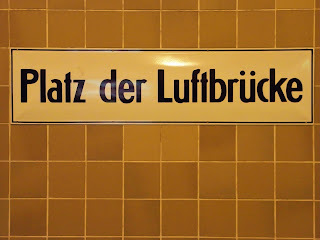 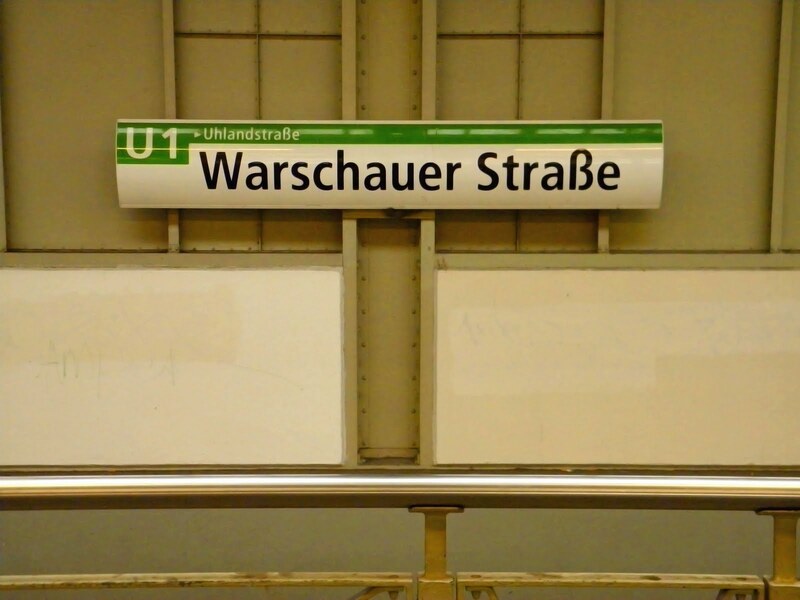 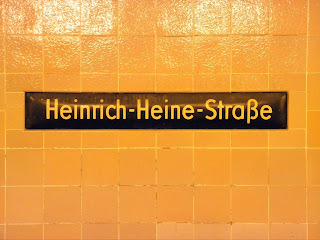 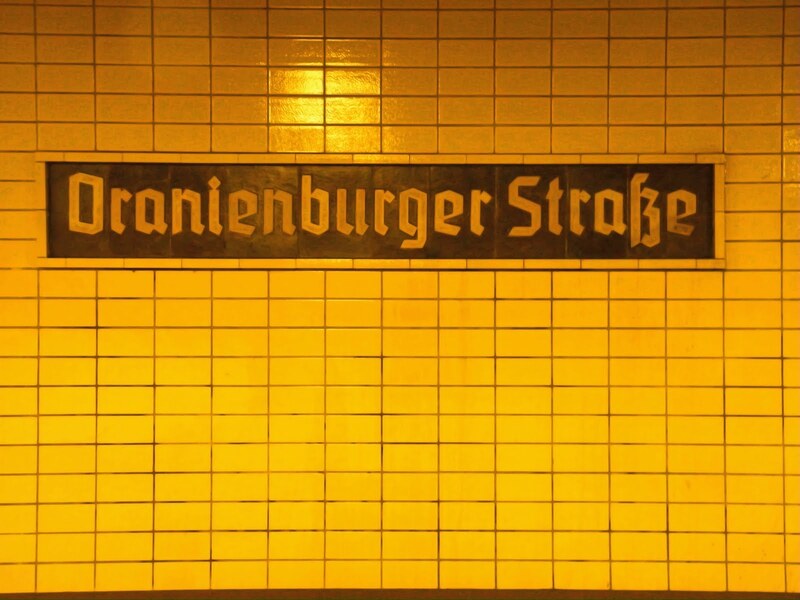 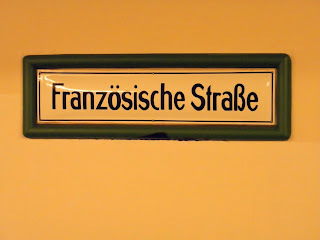 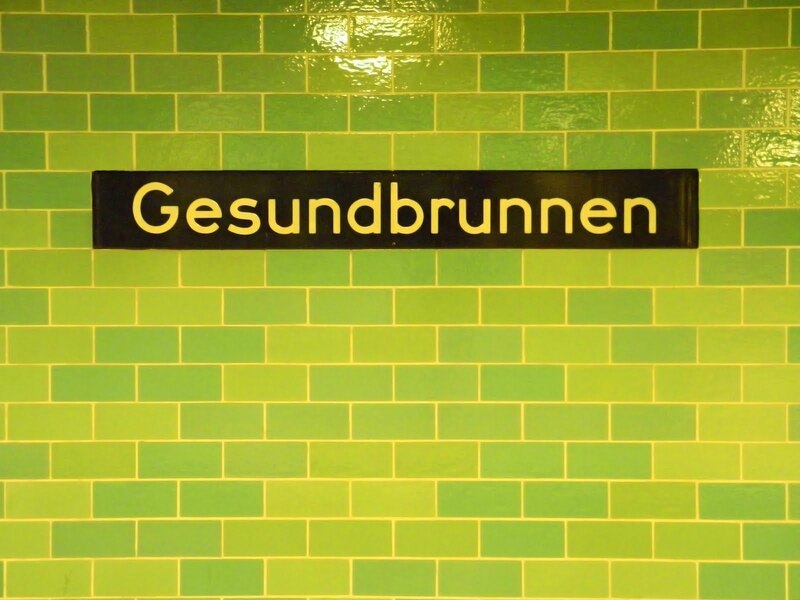 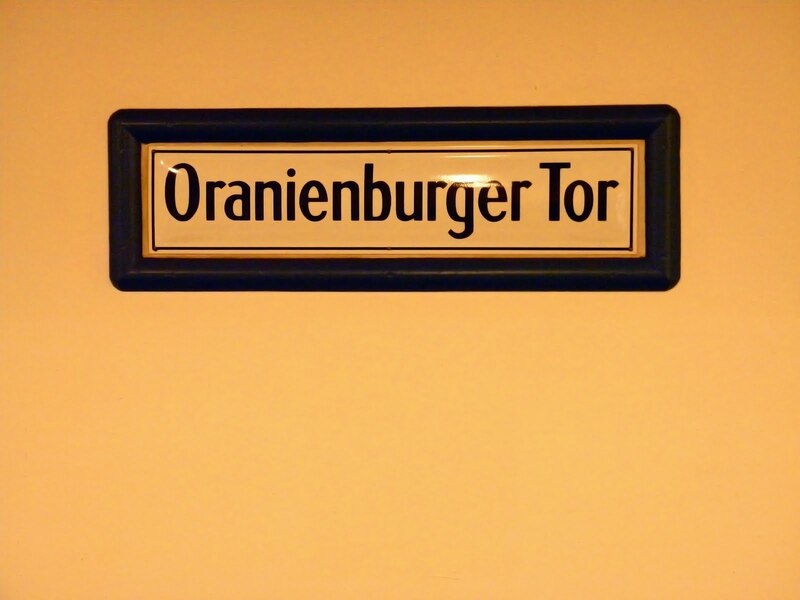 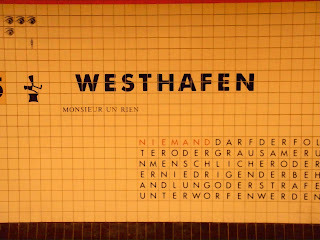 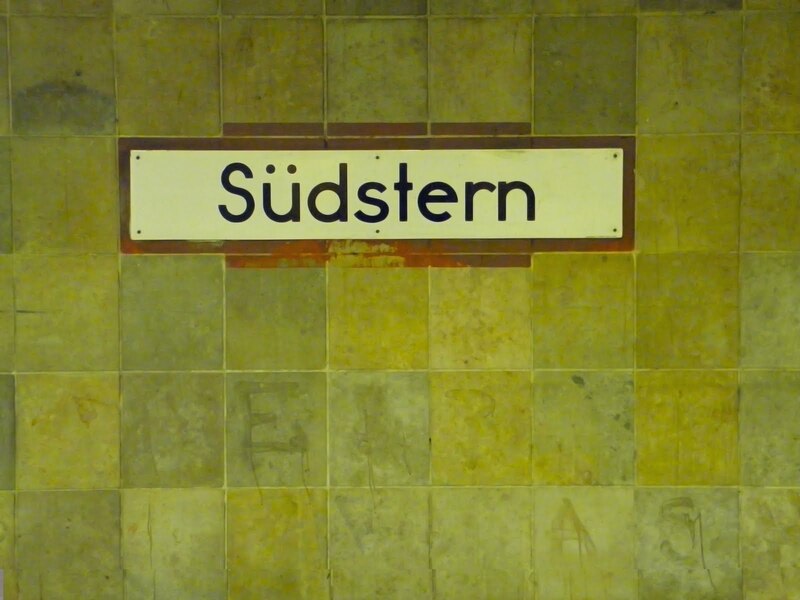 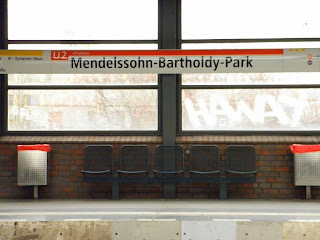 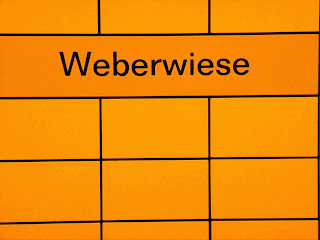 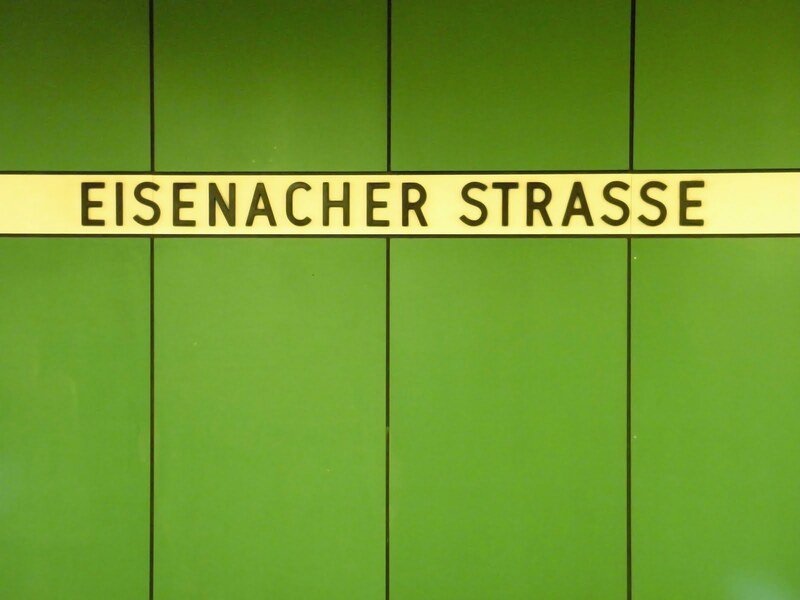 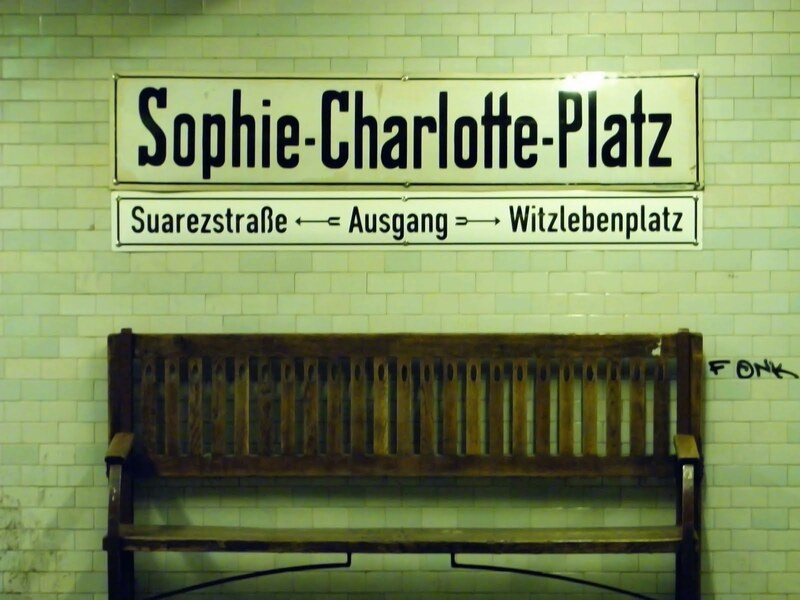 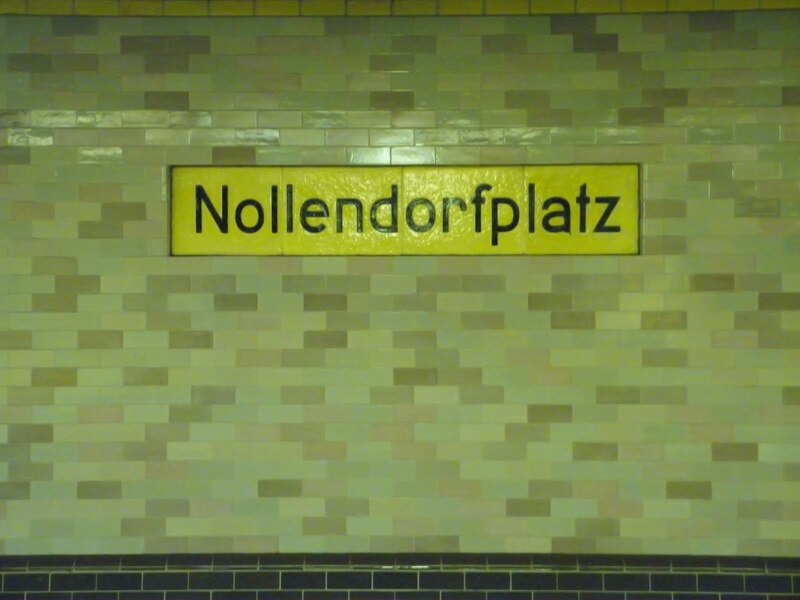 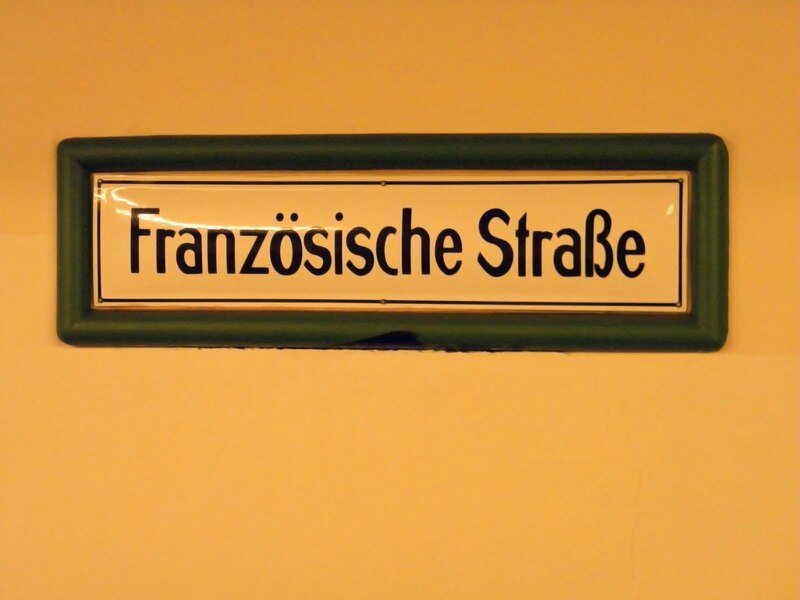 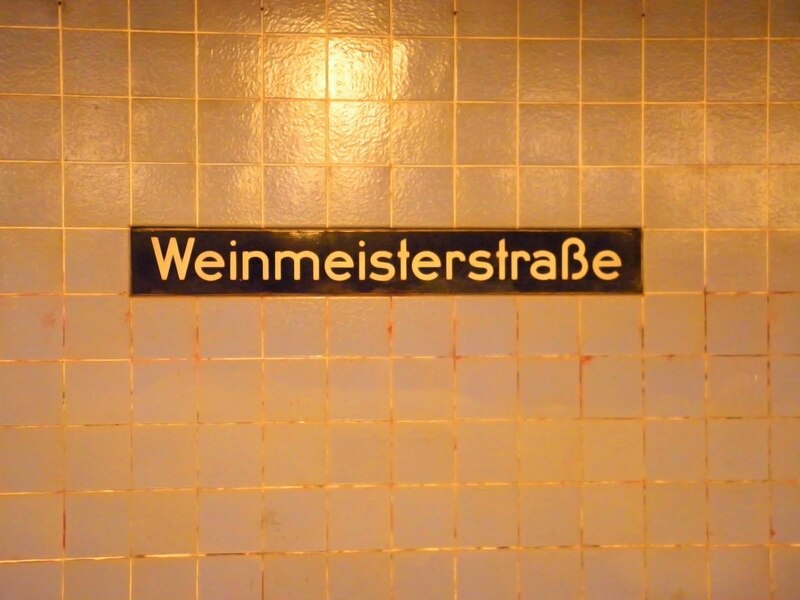 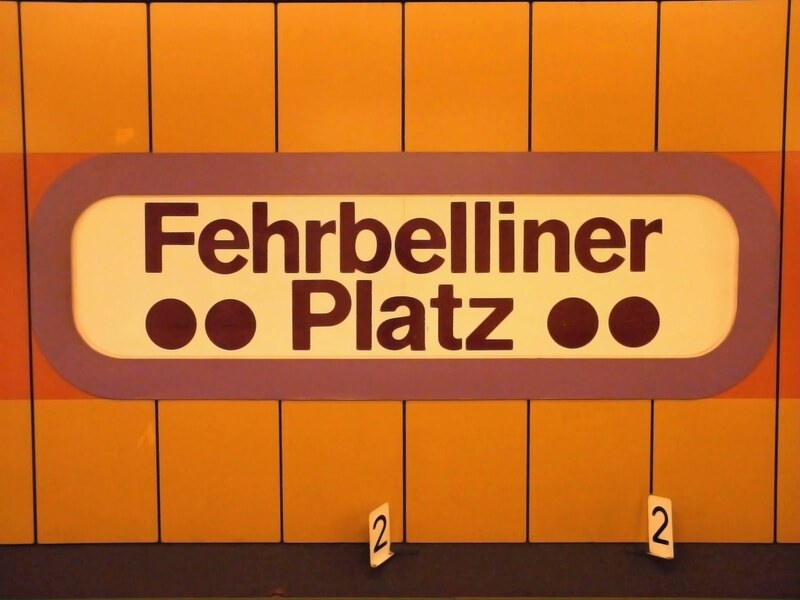 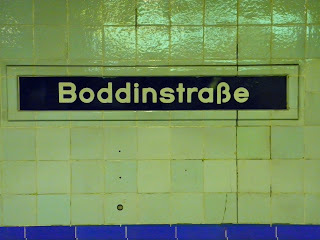 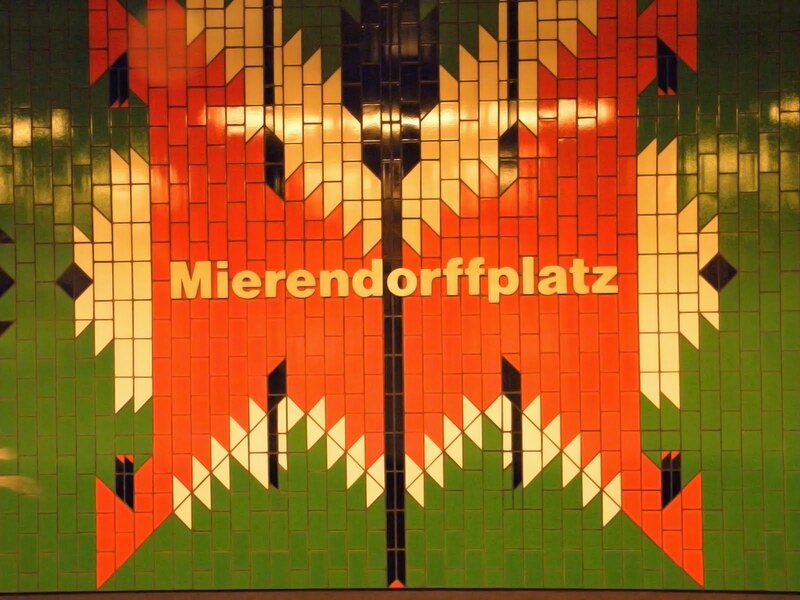 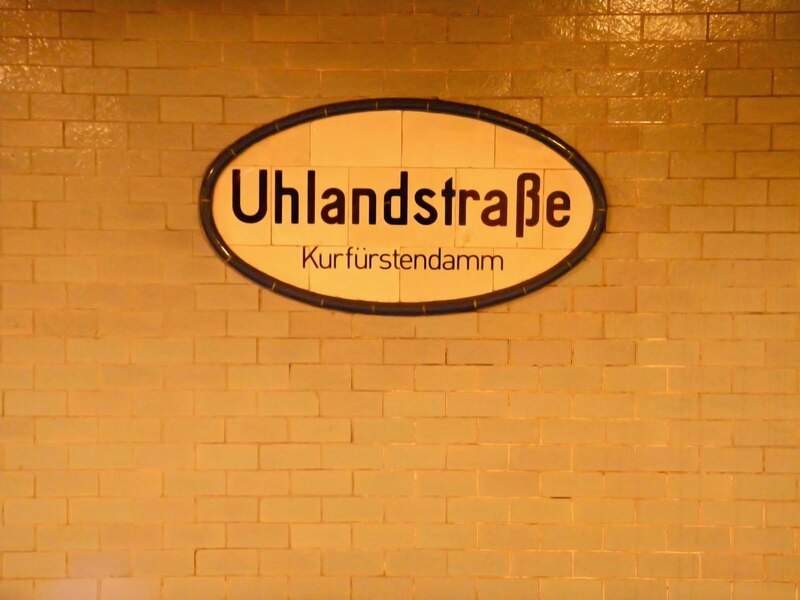 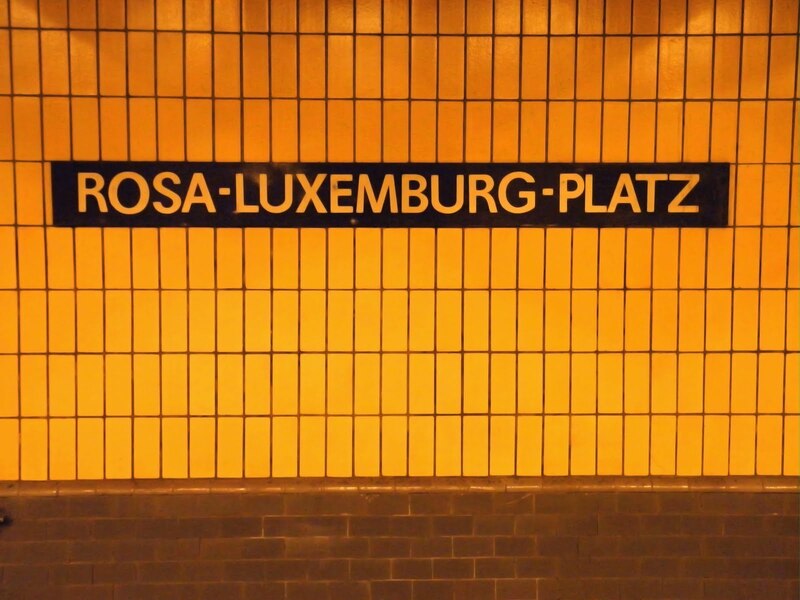 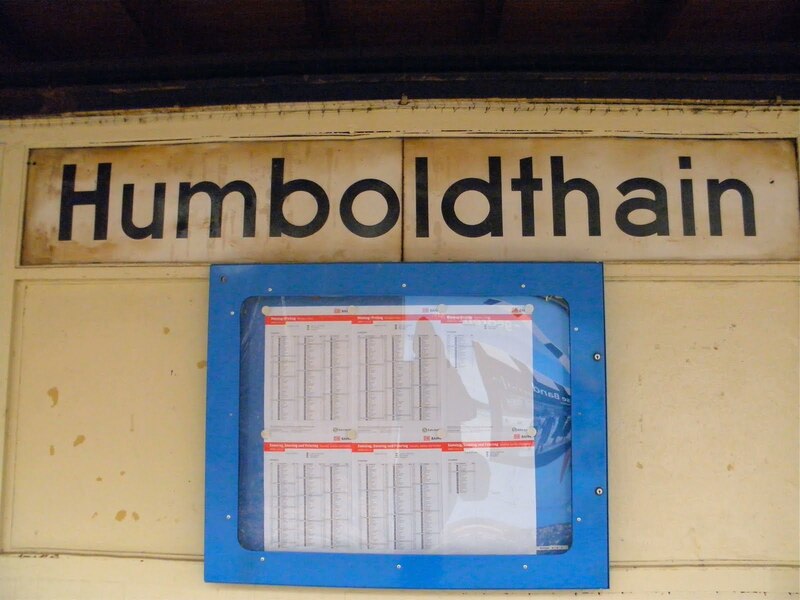 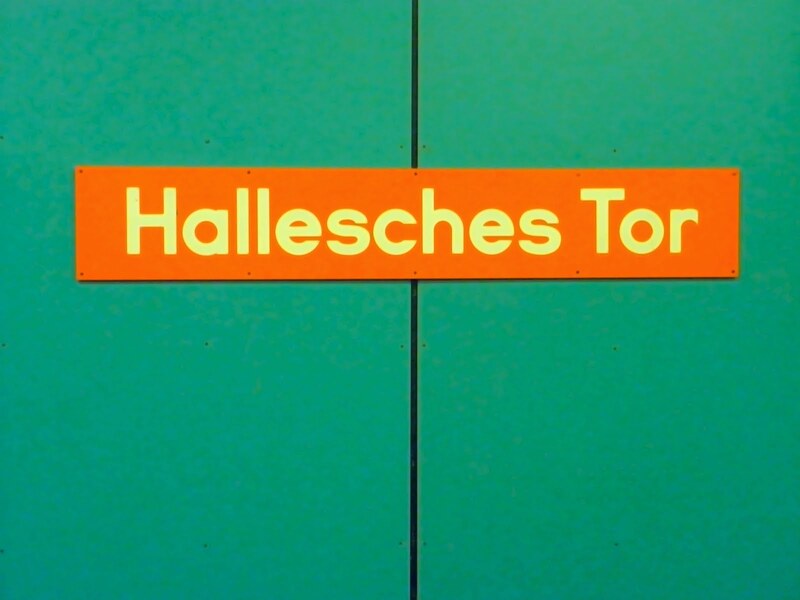 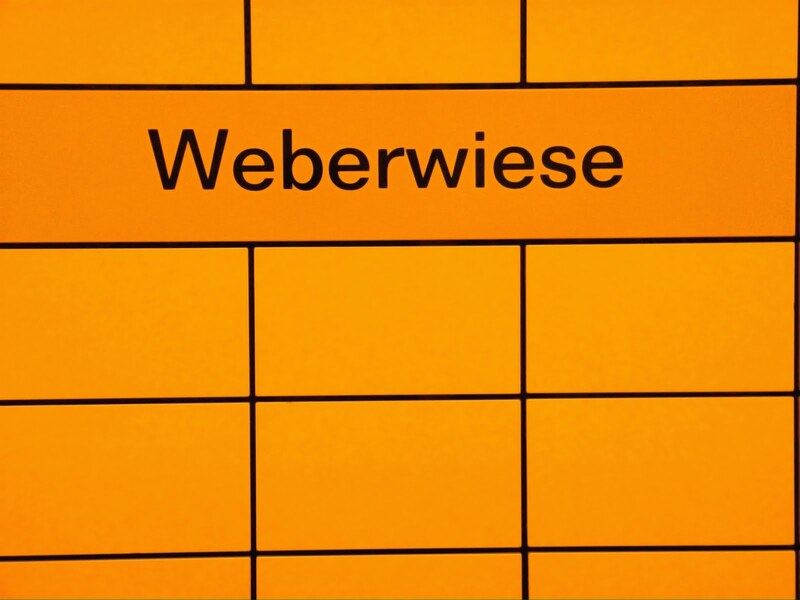 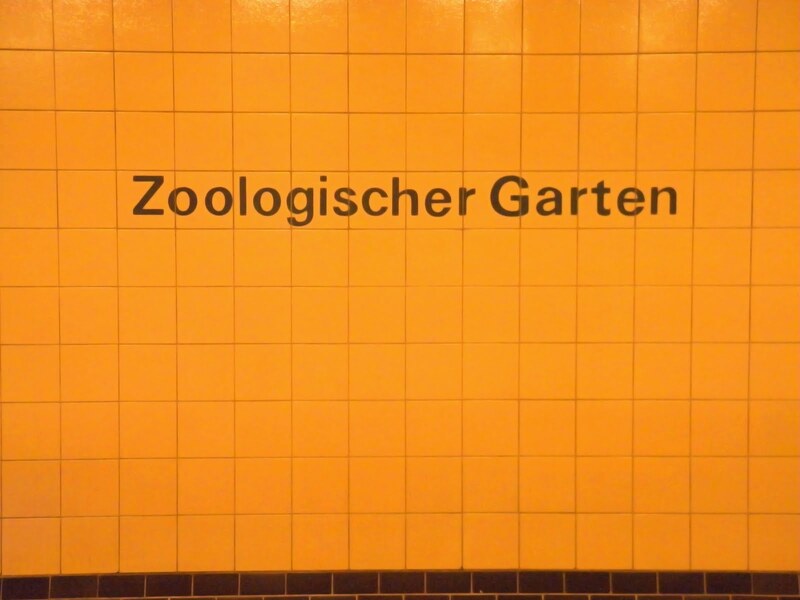 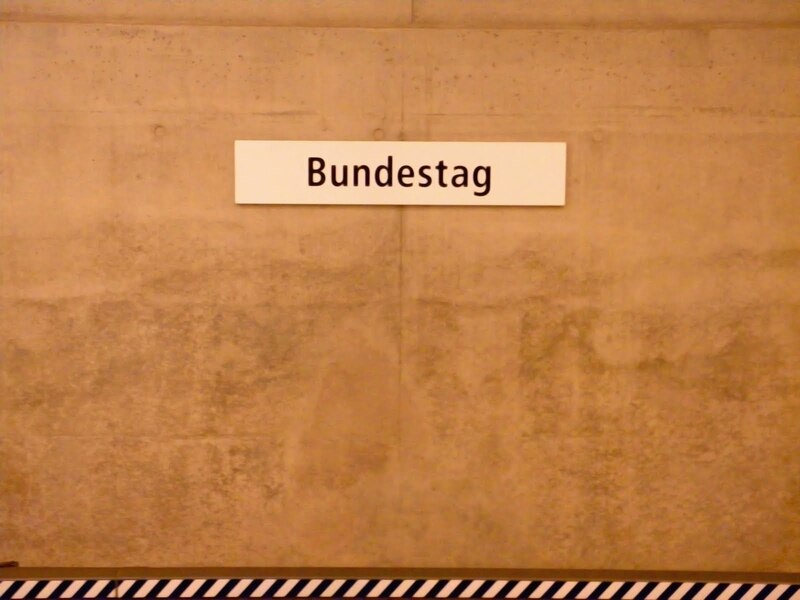 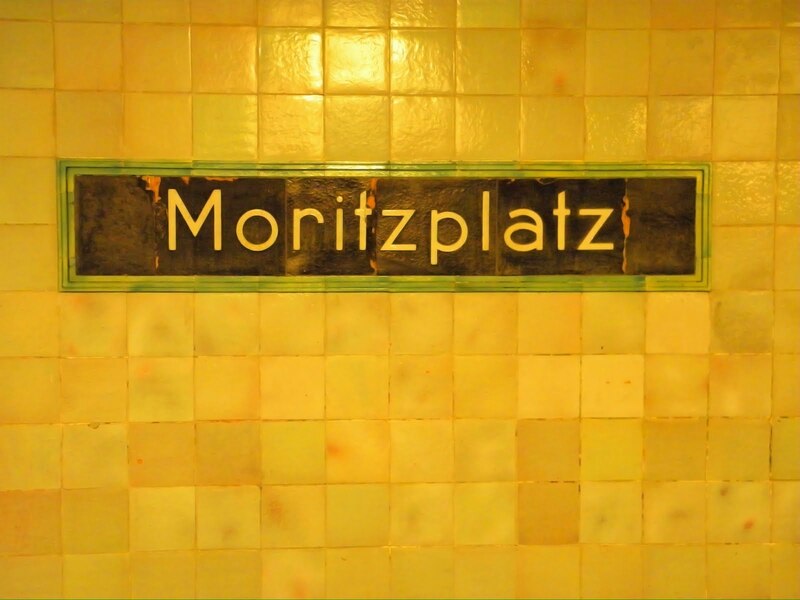 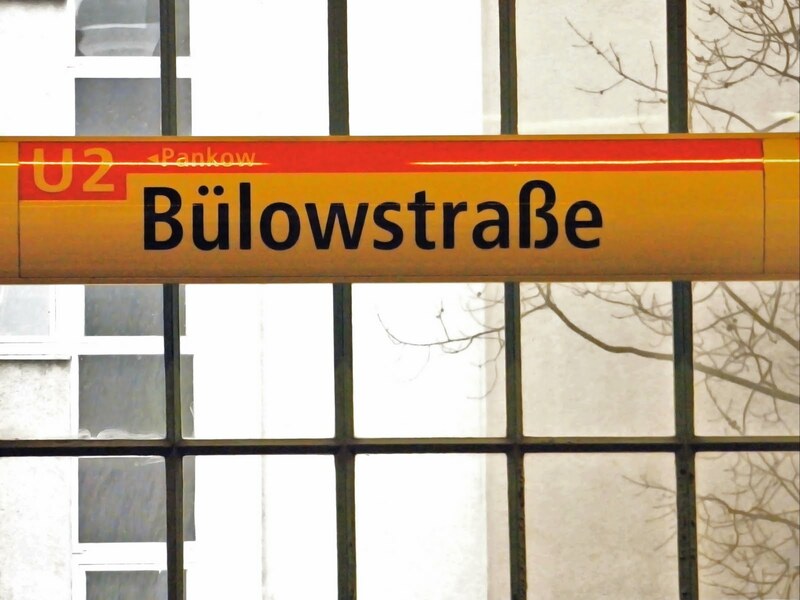 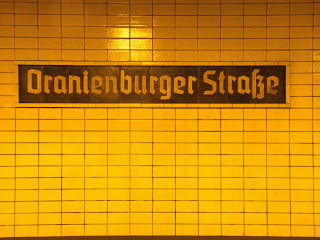 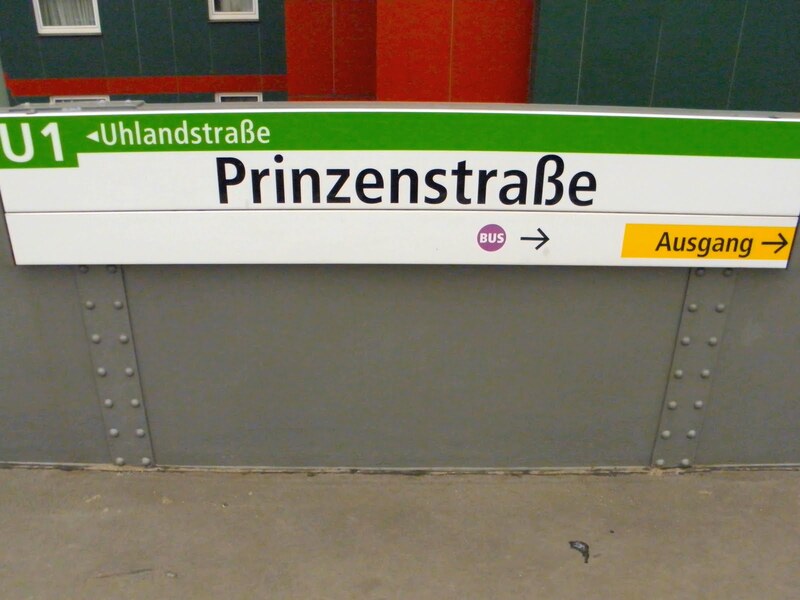 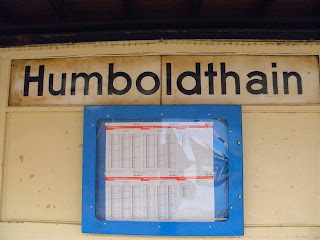 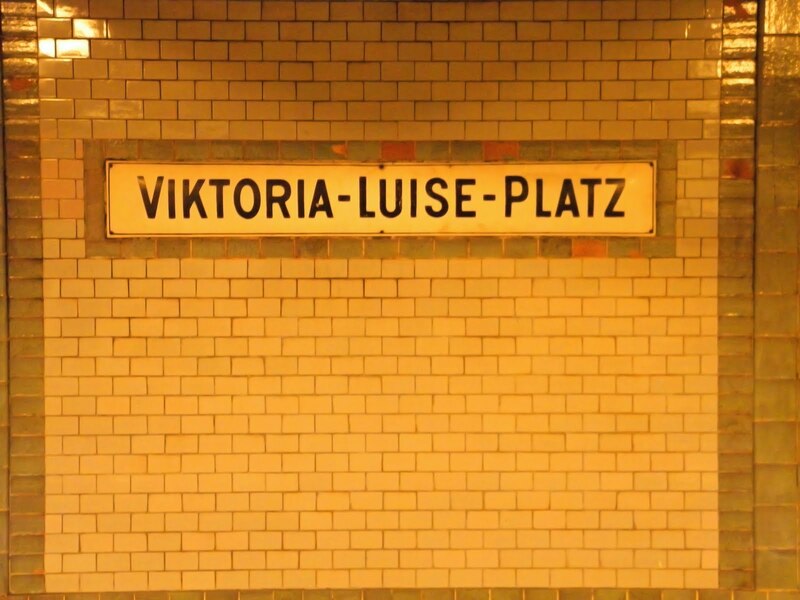 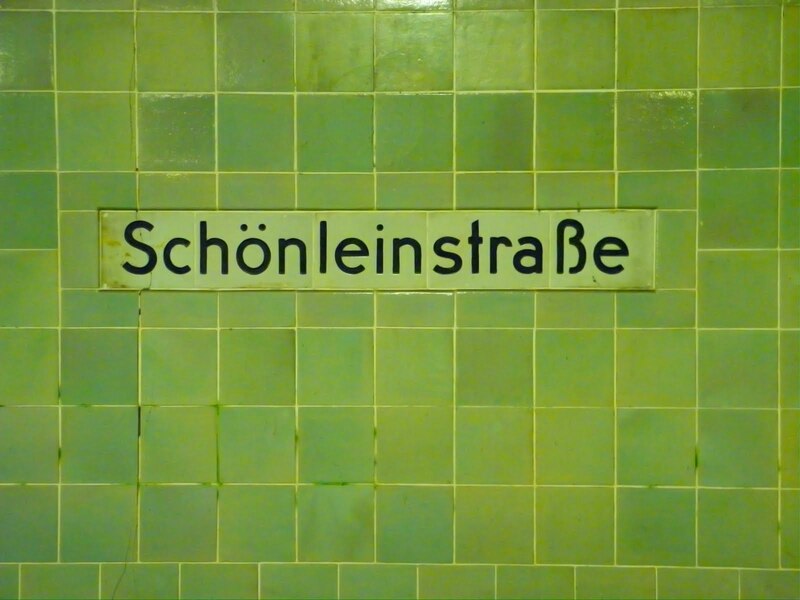 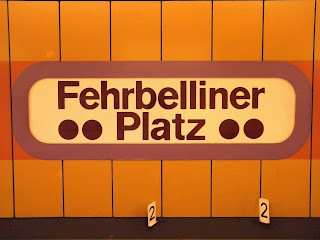 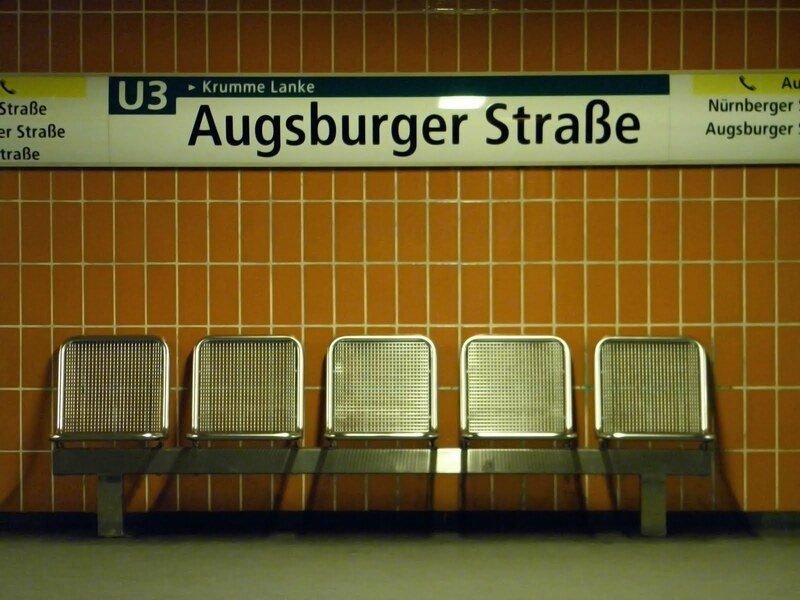 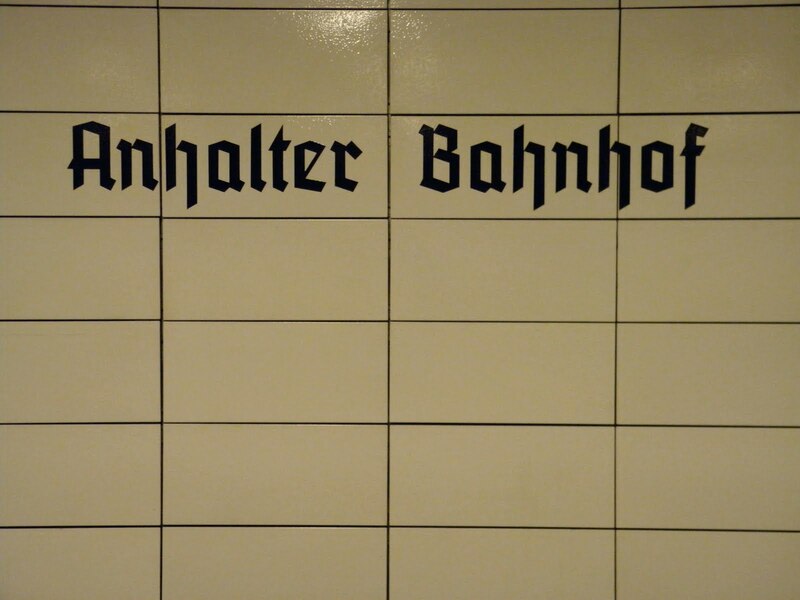 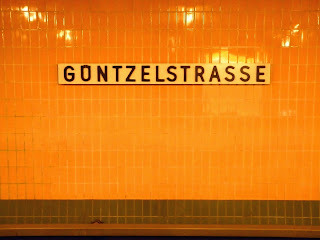 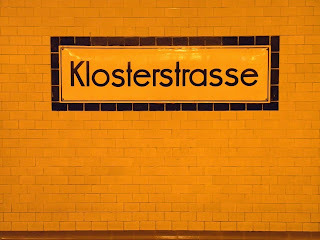 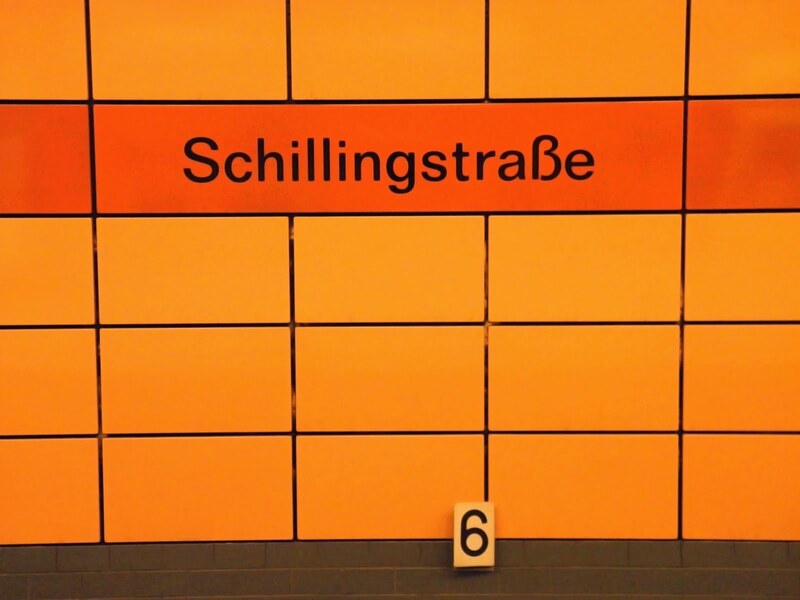 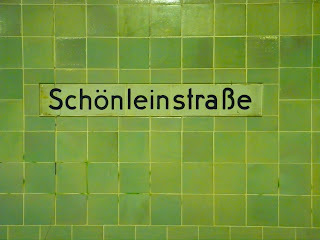 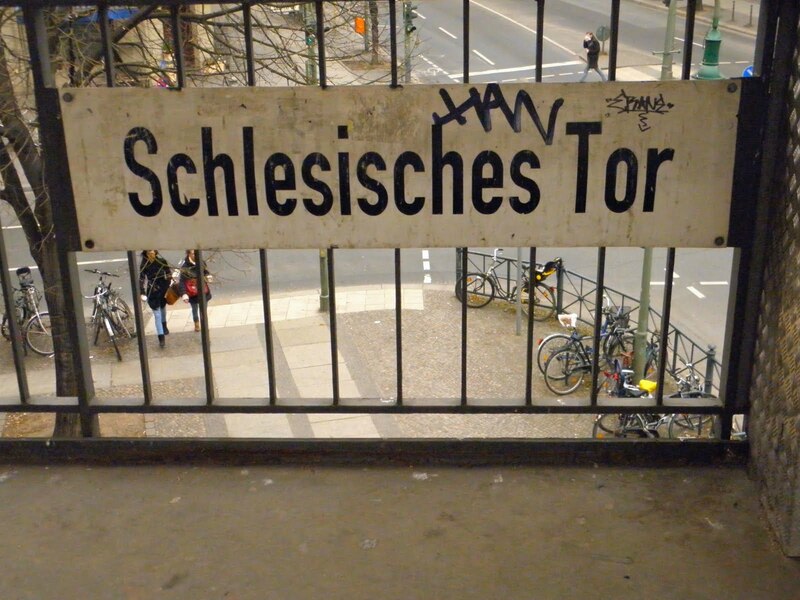 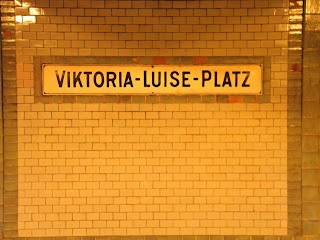 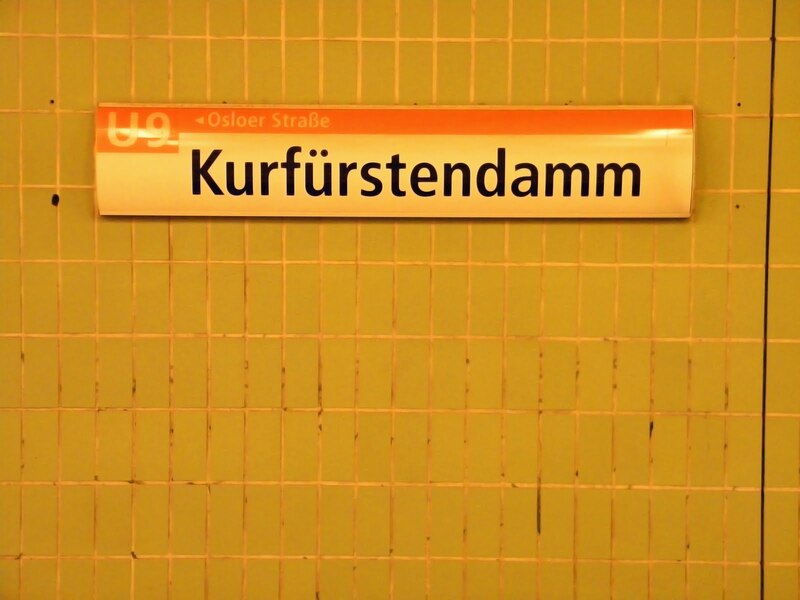 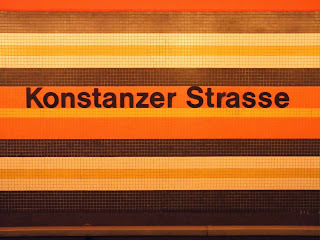 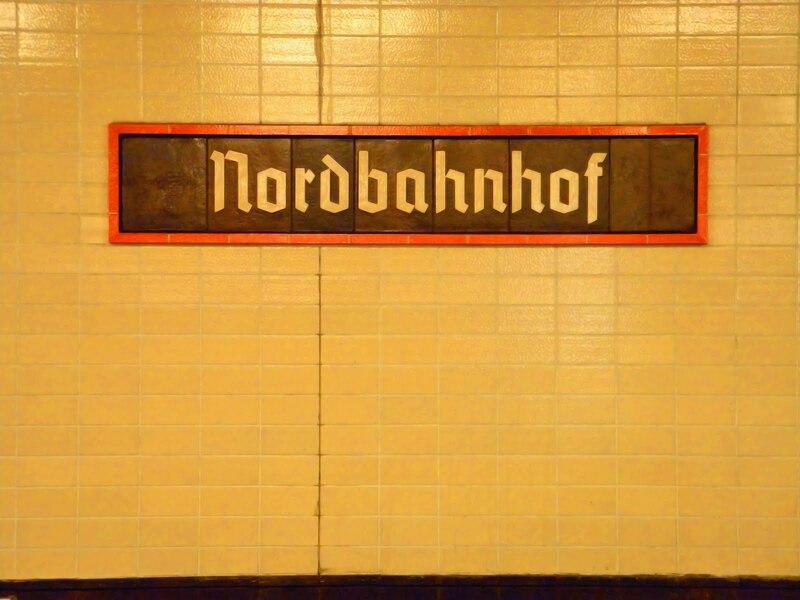 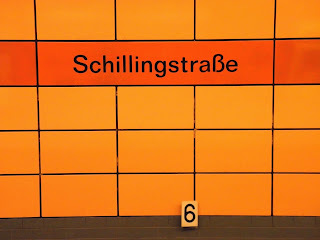 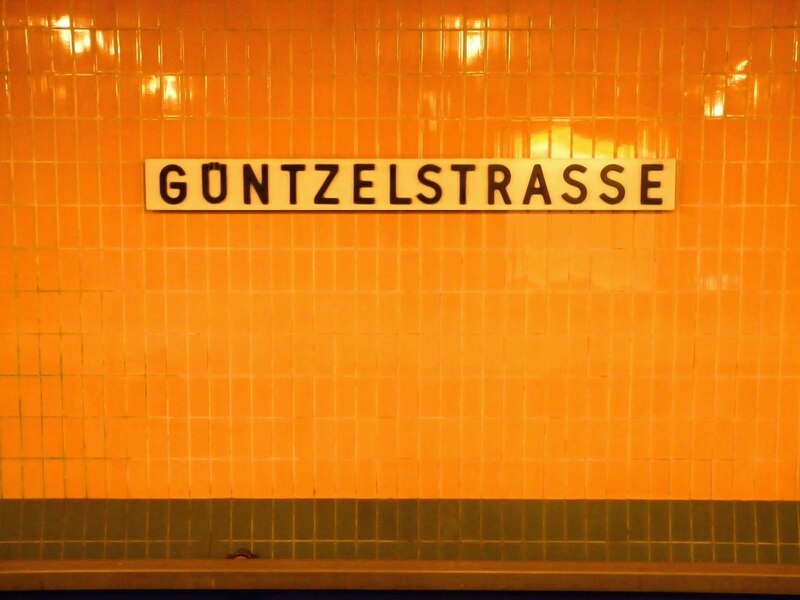 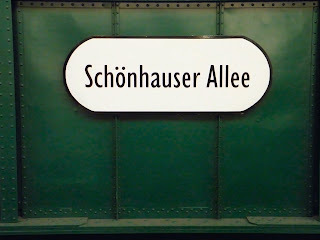 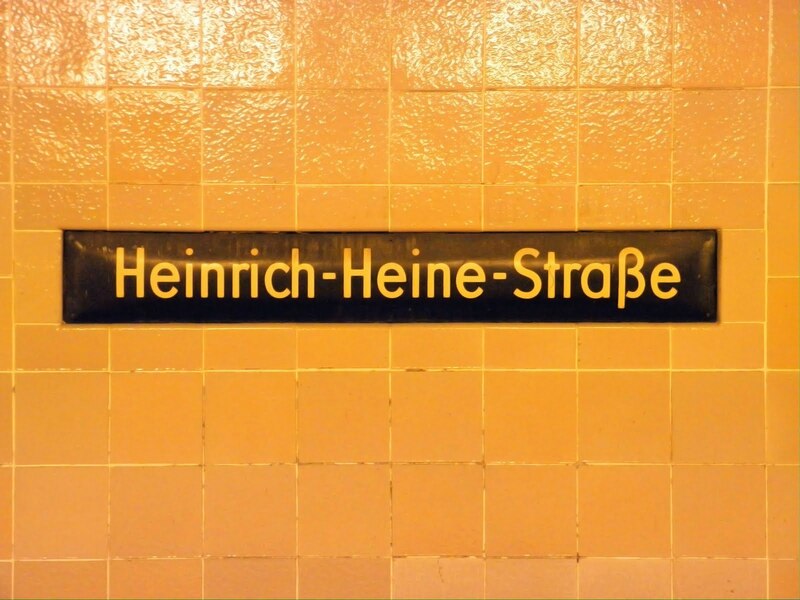 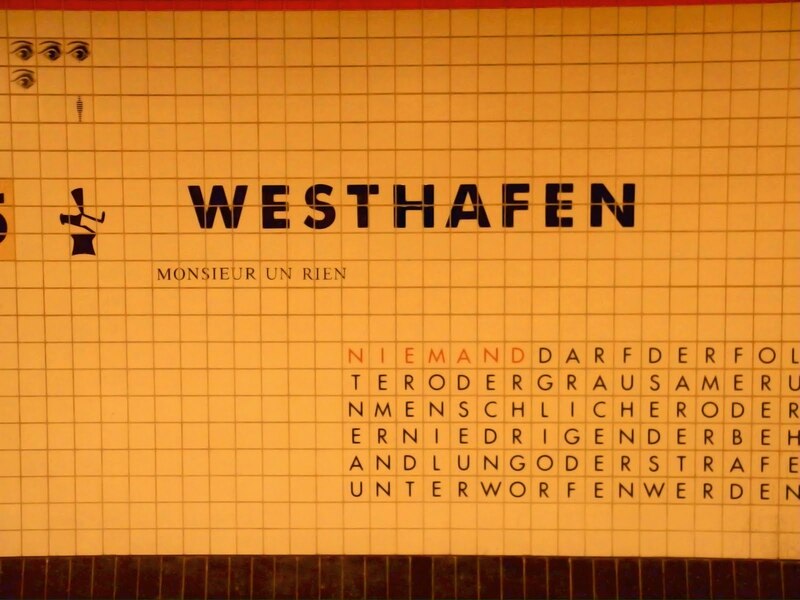 Here are the 101 Zone A Berlin U-bahn station signs presented in alphabetical order. 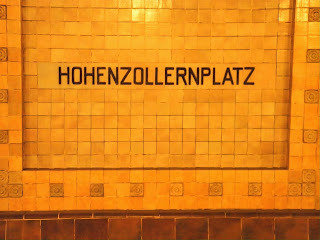 Zones B and C are to follow. 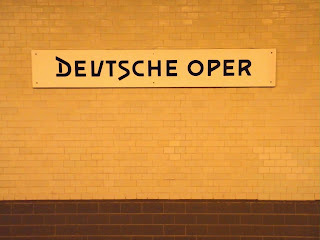 In a few years.